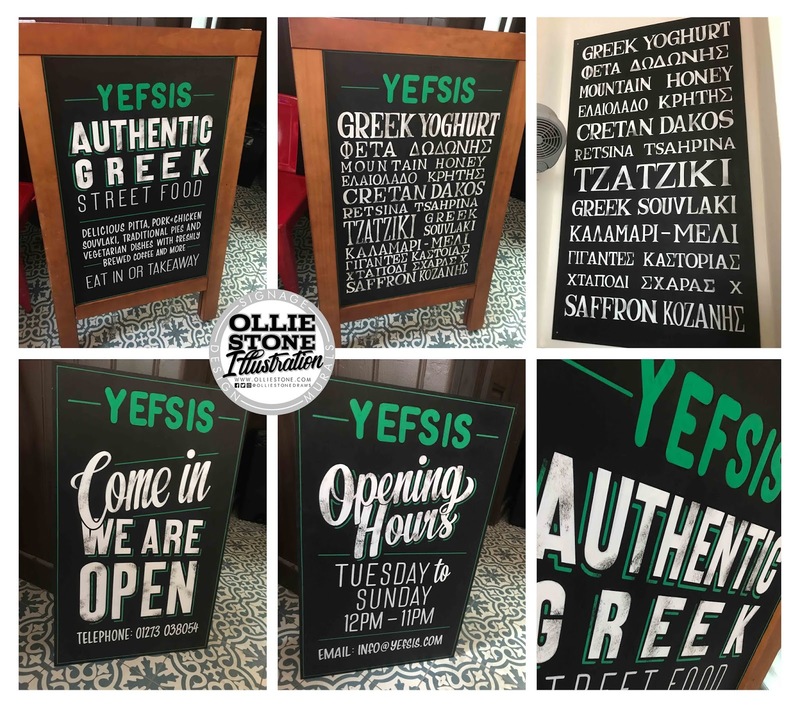 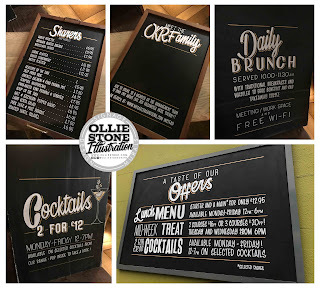 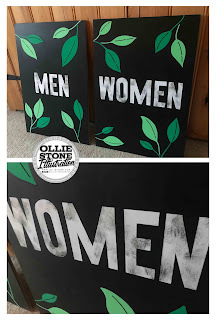 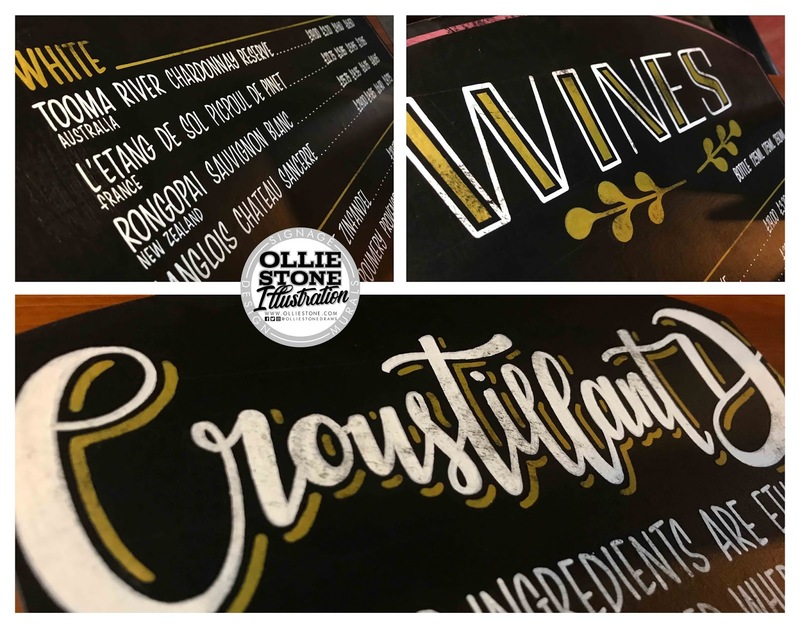 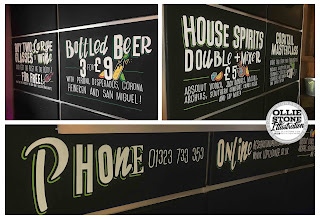 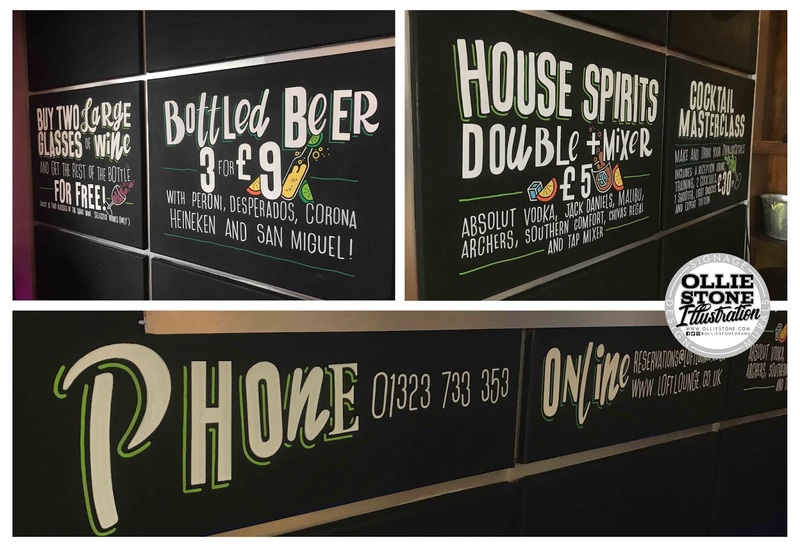 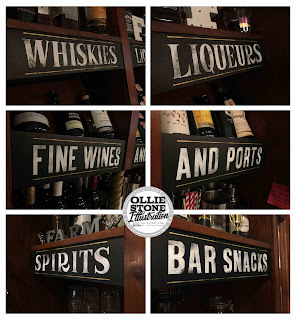 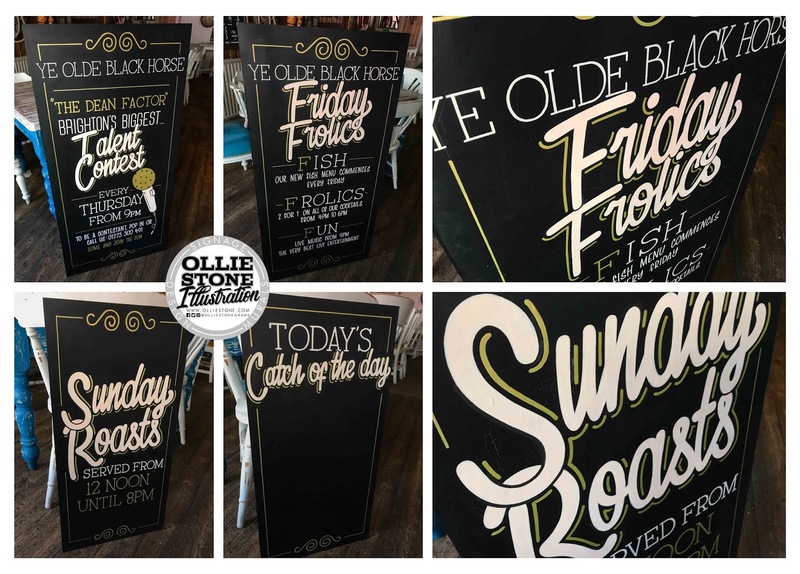 Chalkboards, blackboards and hand-painted signage. 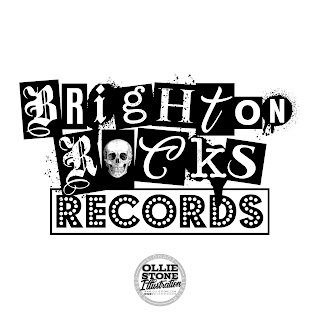 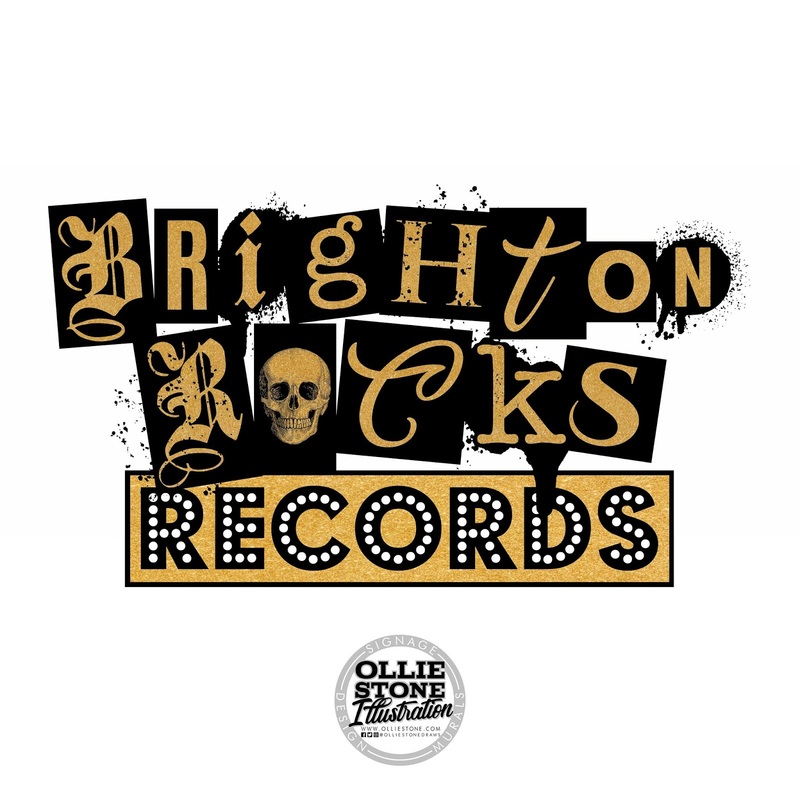 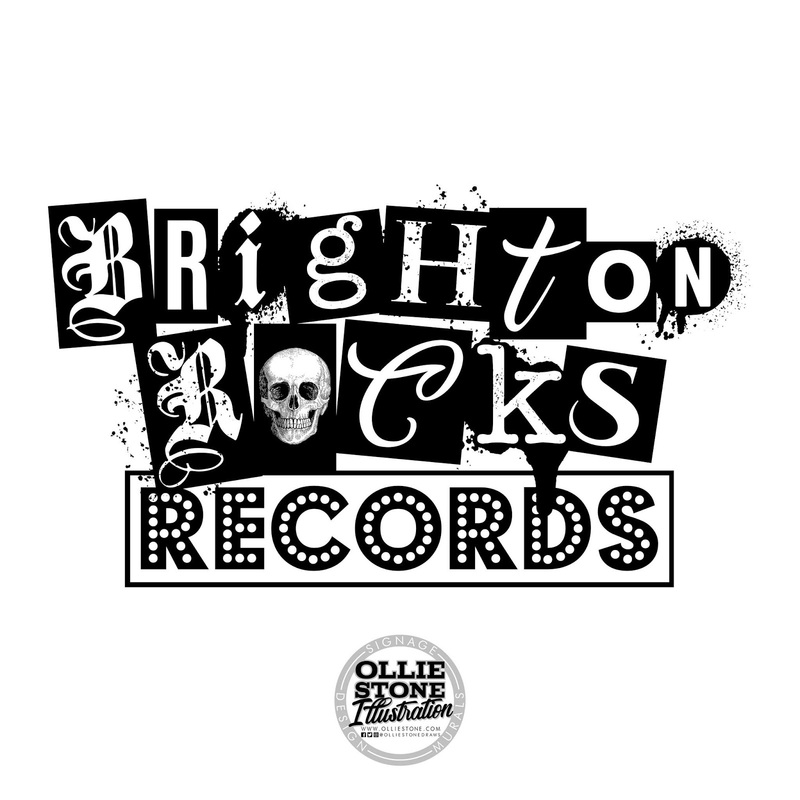 Logo design for Brighton Rocks, Brighton. 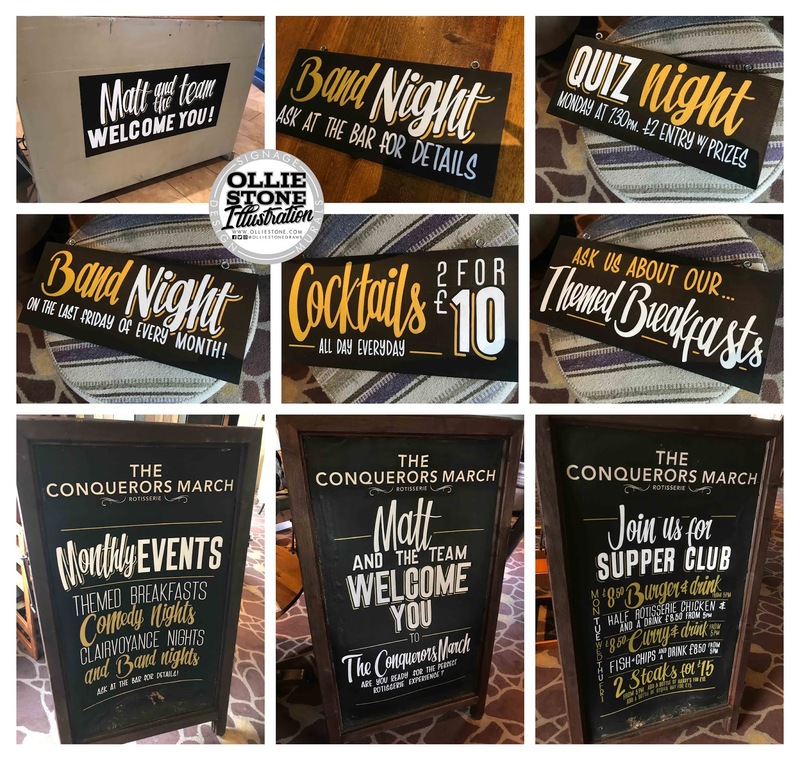 Chalkboard signage for The Conqueror's March, Hastings. Signage for The Conqueror's March, Hastings. 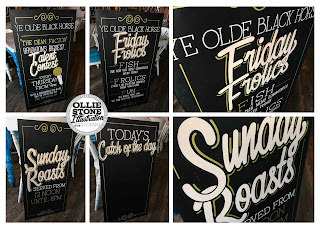 Chalkboard signage for The Loft Lounge, Eastbourne. 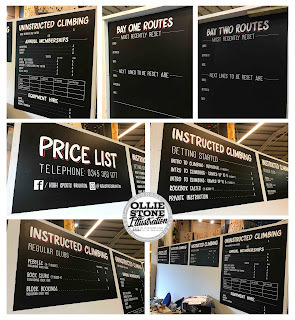 Chalkboard signage for One Kew Road, Richmond. 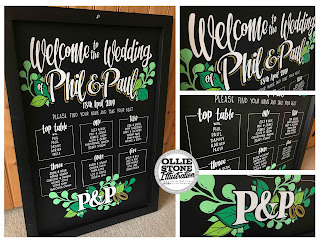 Wedding signage for Phil & Paul. 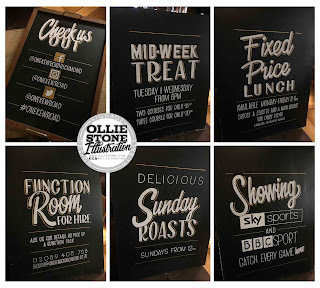 Chalkboard signage for SocialBoard, Brighton. 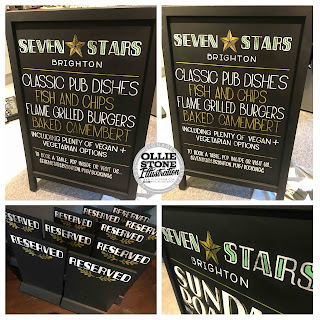 Chalkboard signage for The William the Fourth, Brighton. 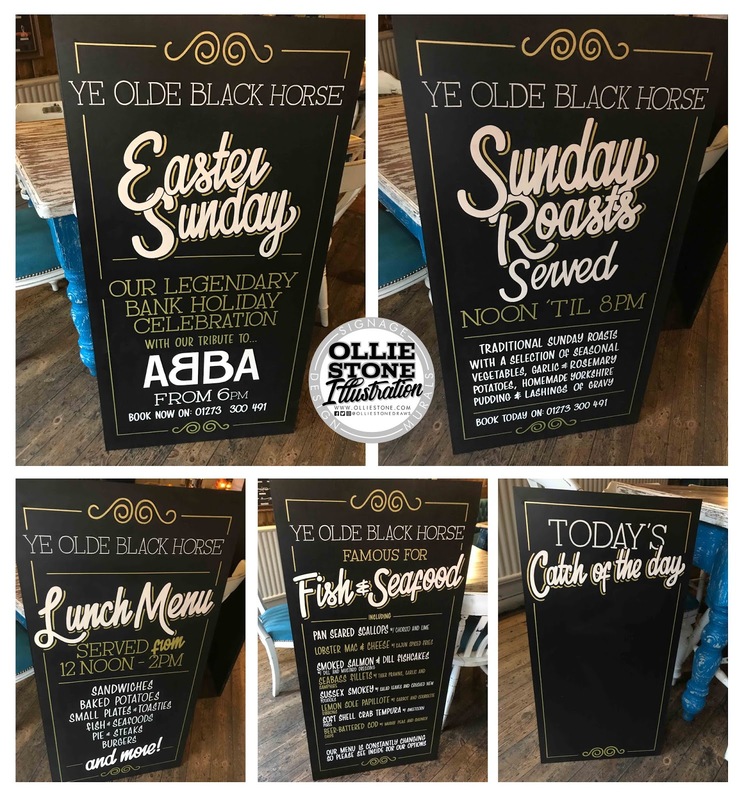 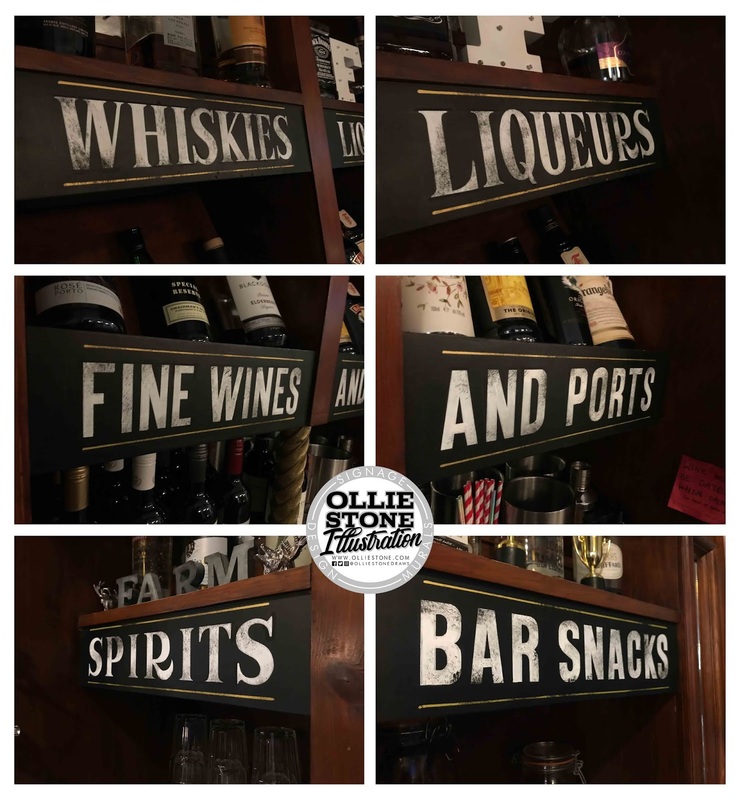 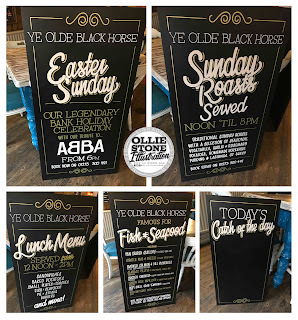 Chalkboard signage for Ye Olde Black Horse, Rottingdean. 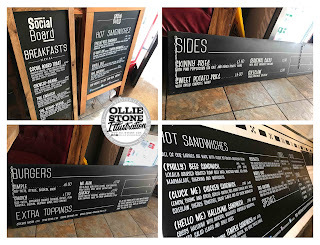 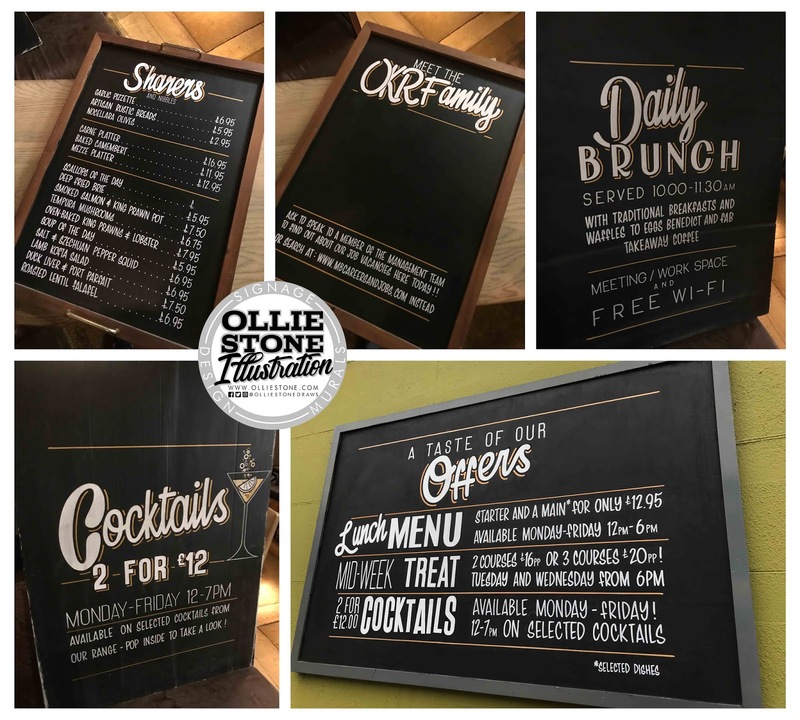 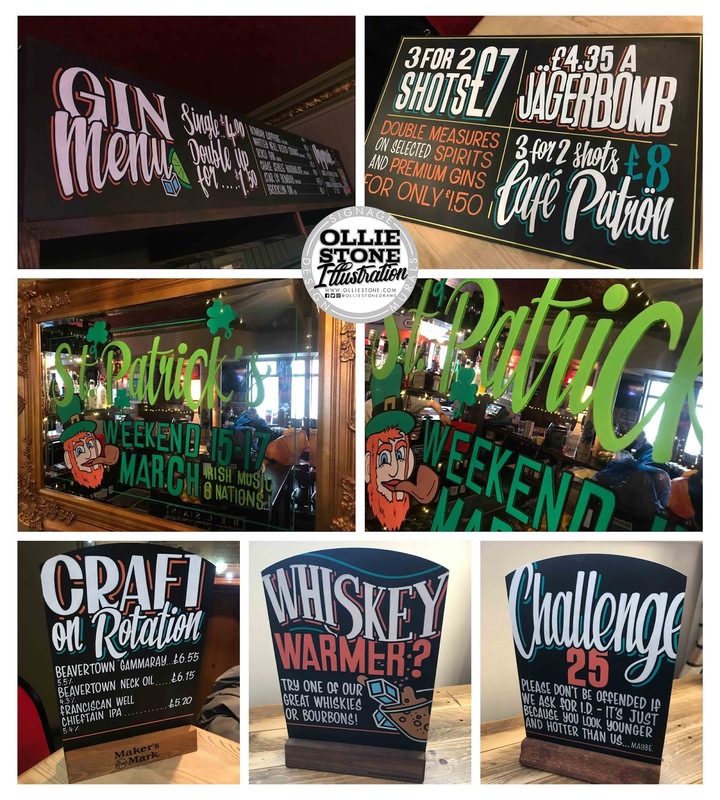 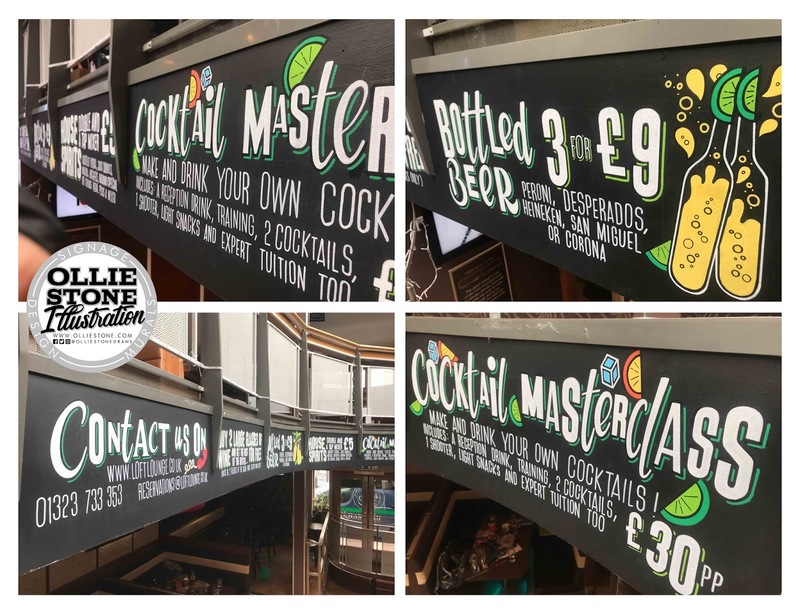 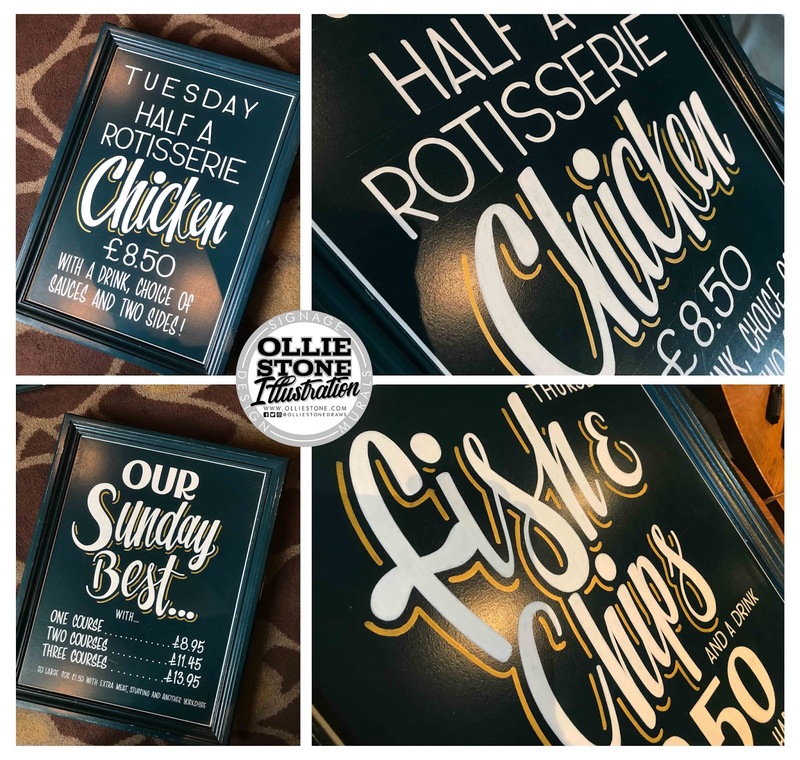 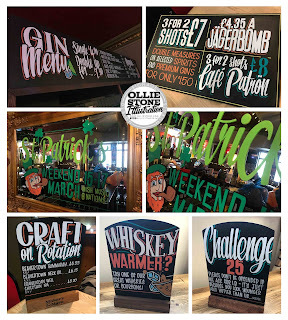 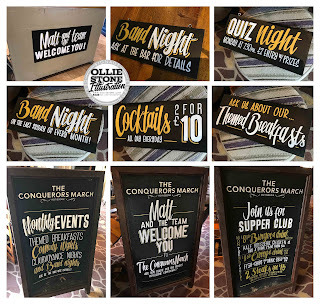 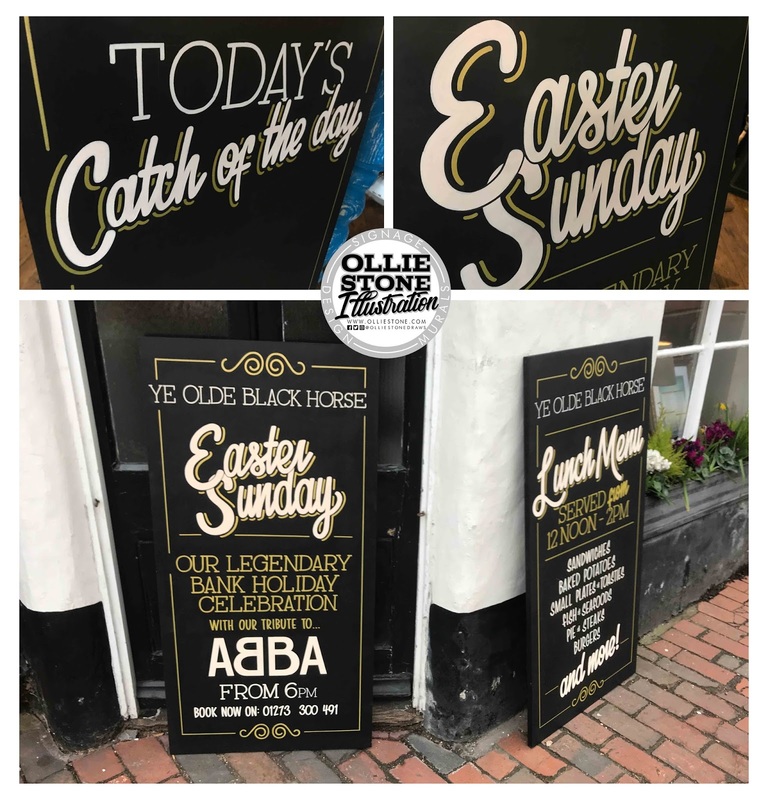 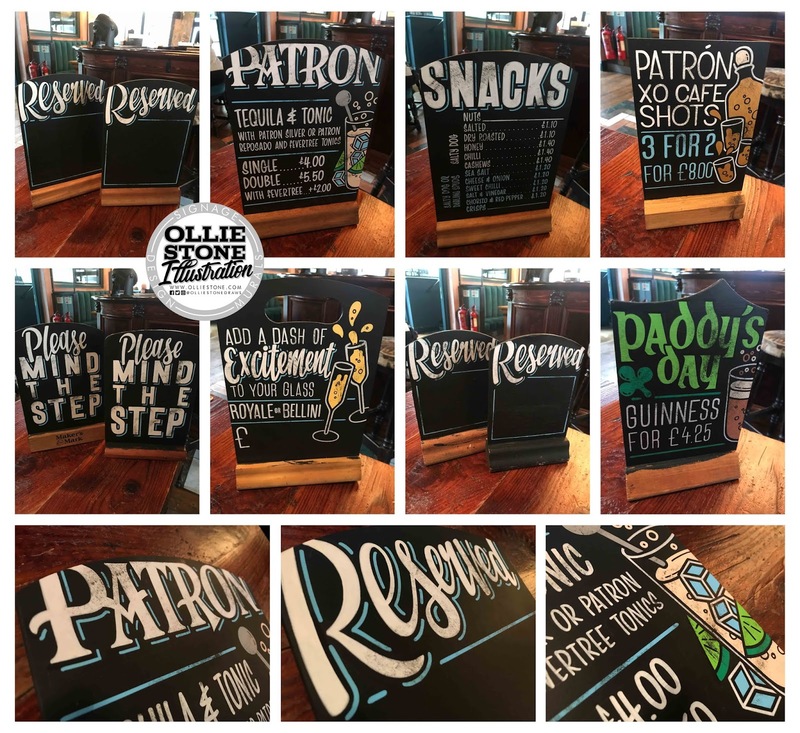 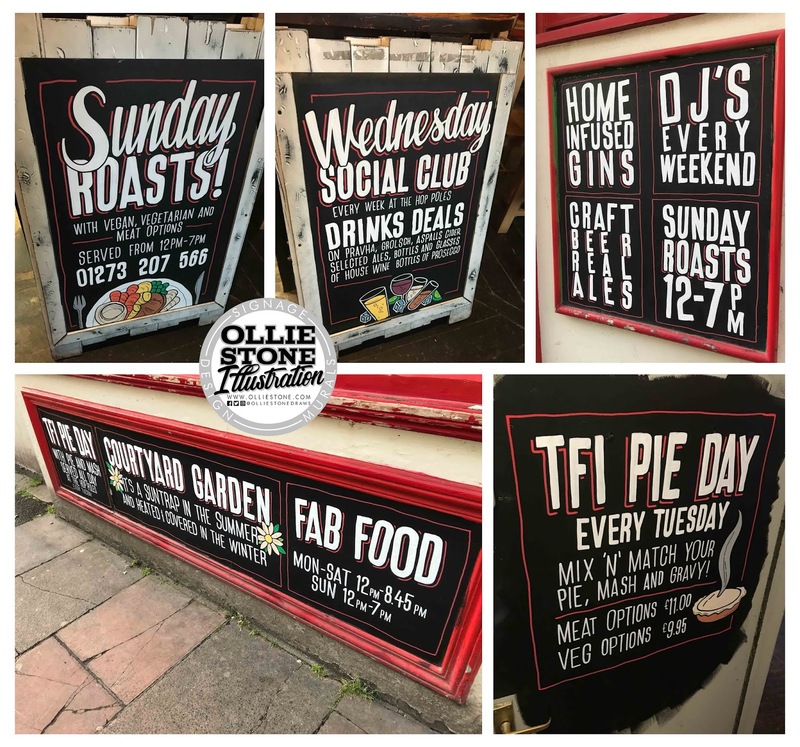 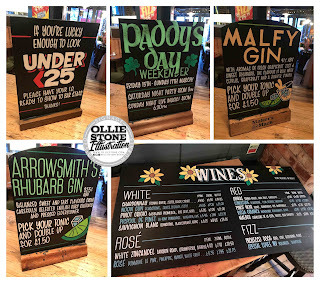 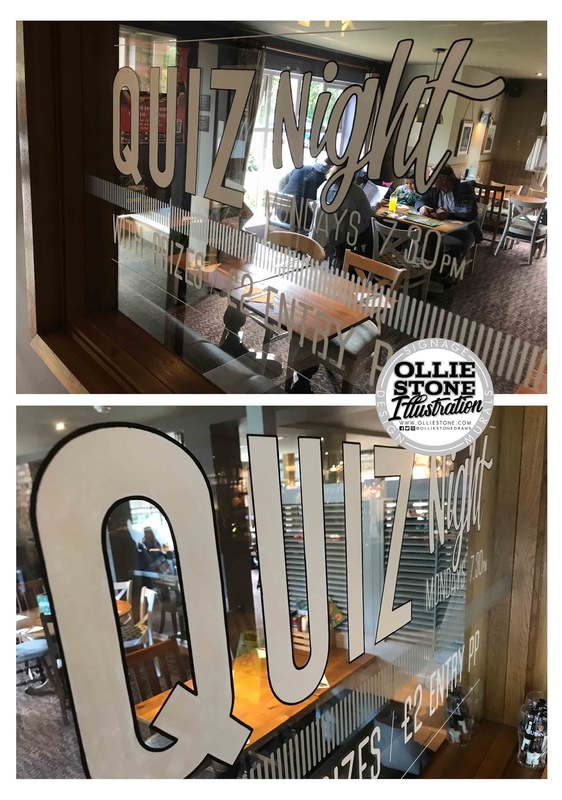 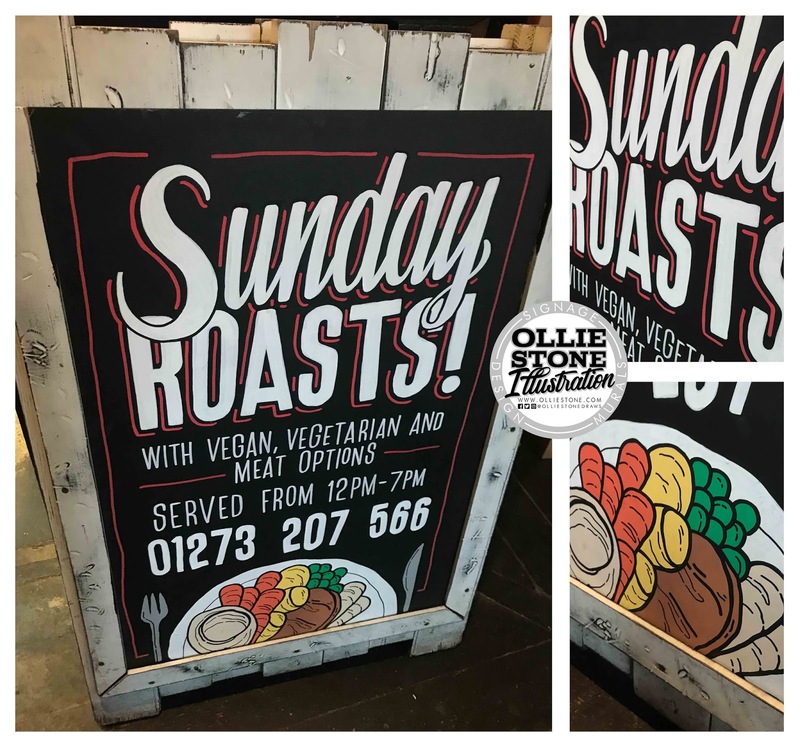 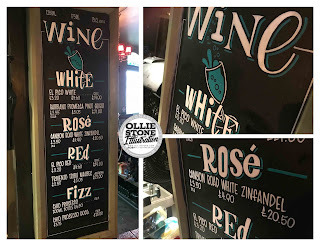 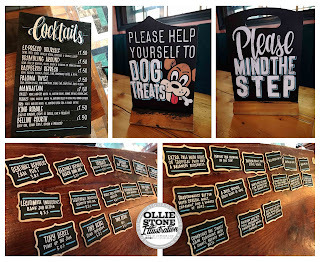 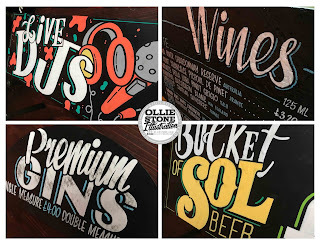 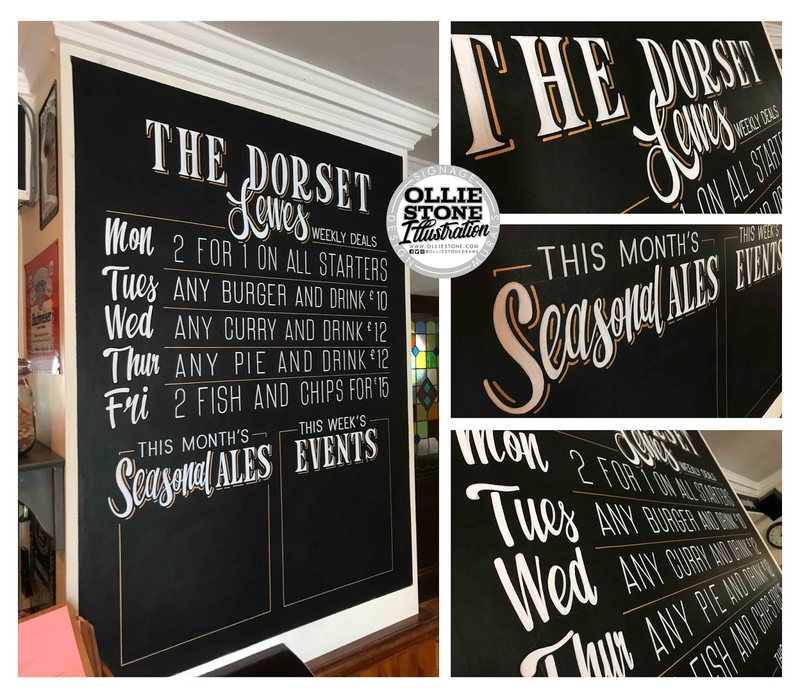 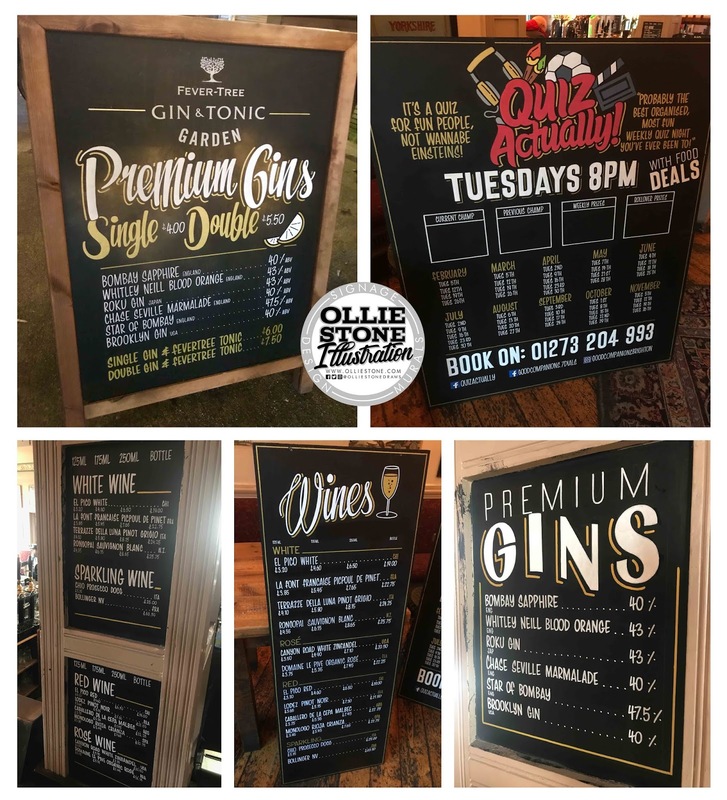 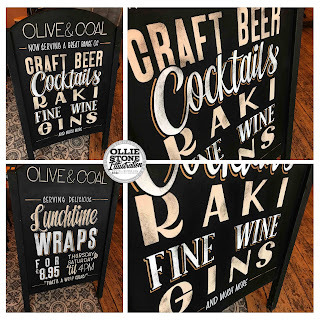 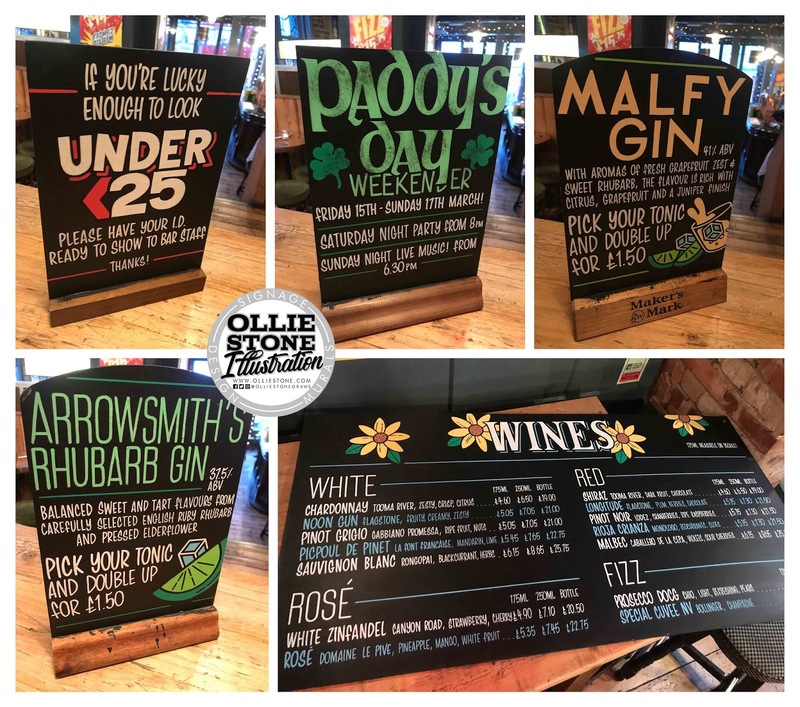 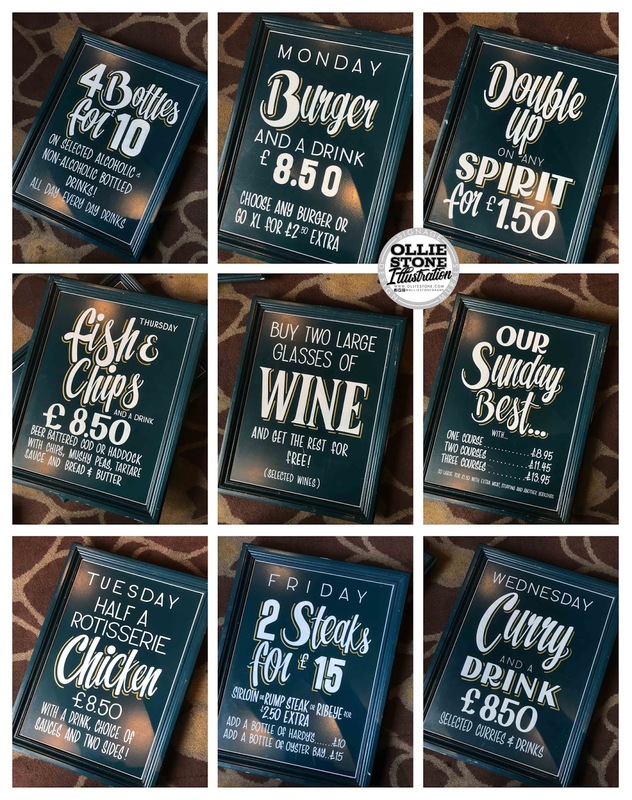 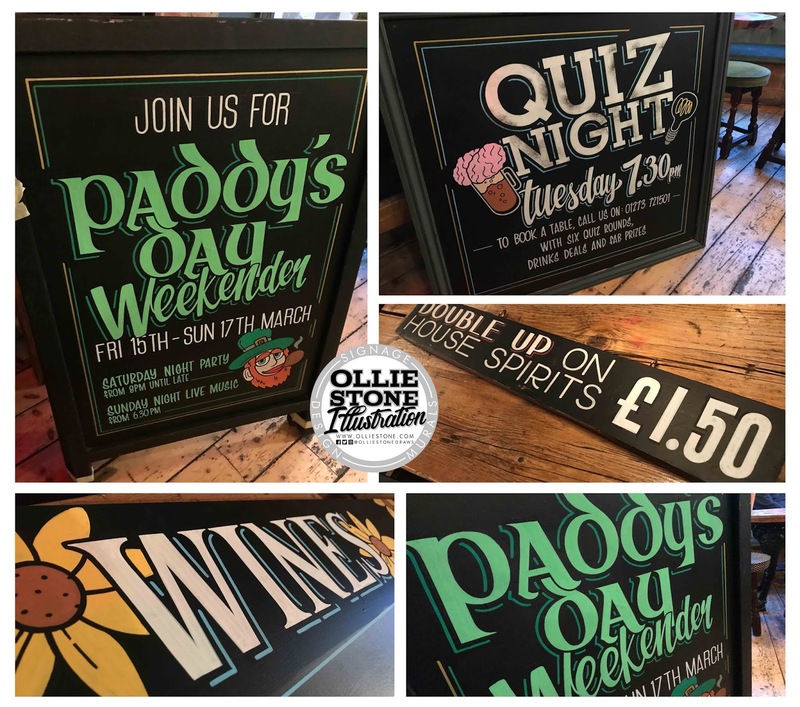 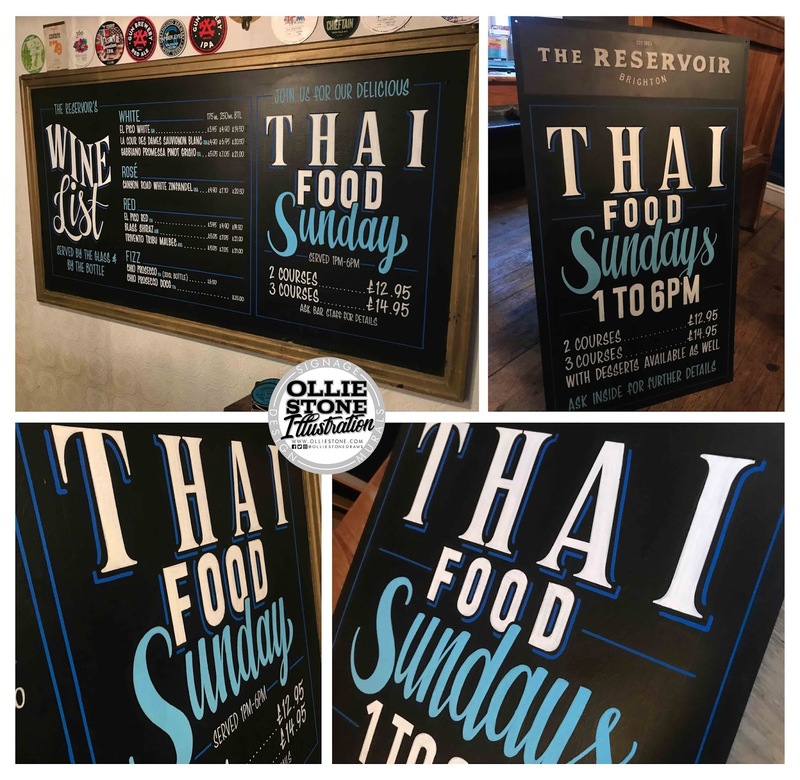 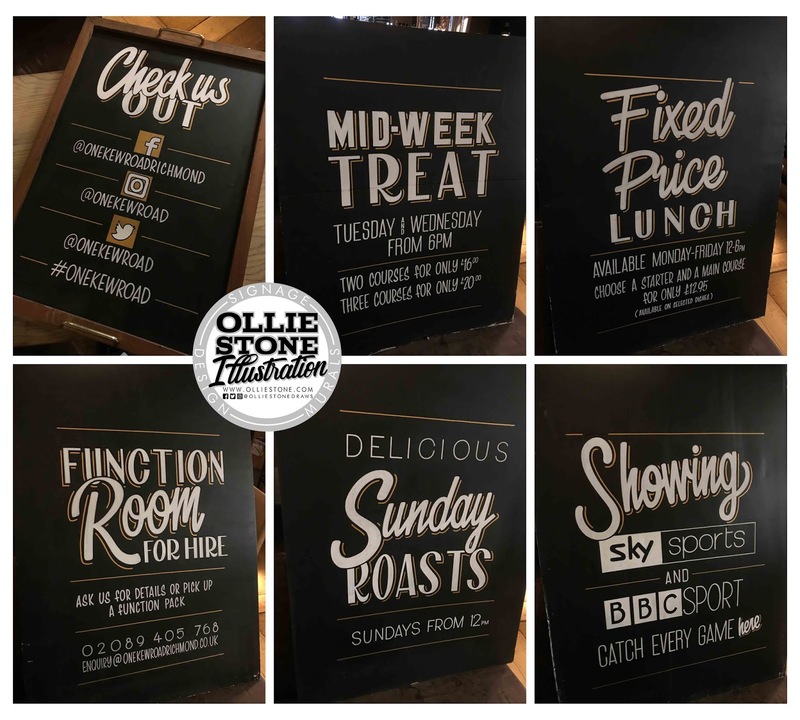 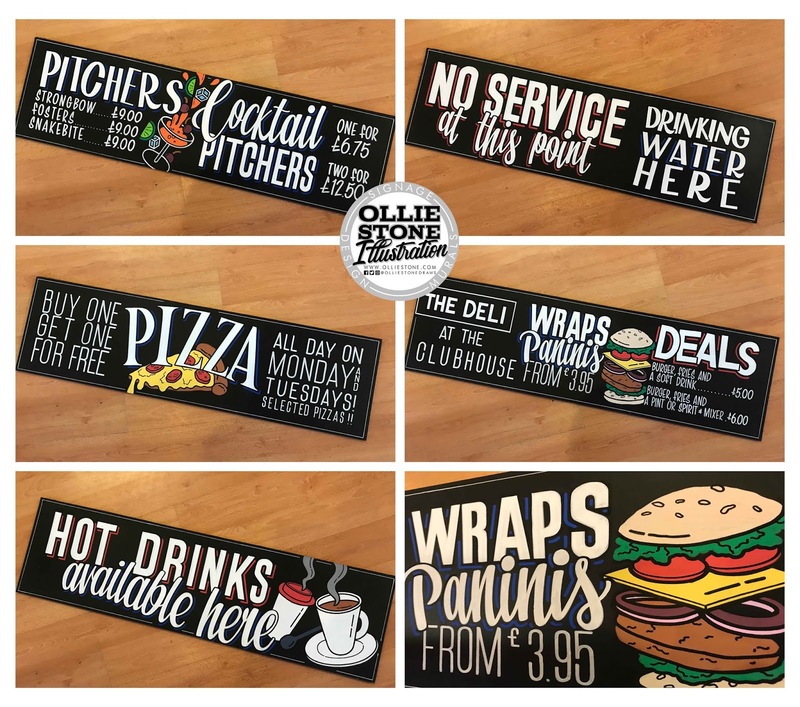 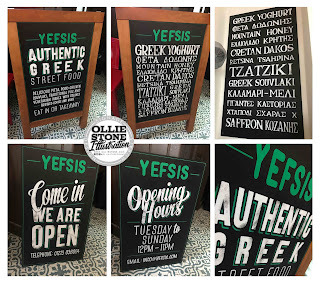 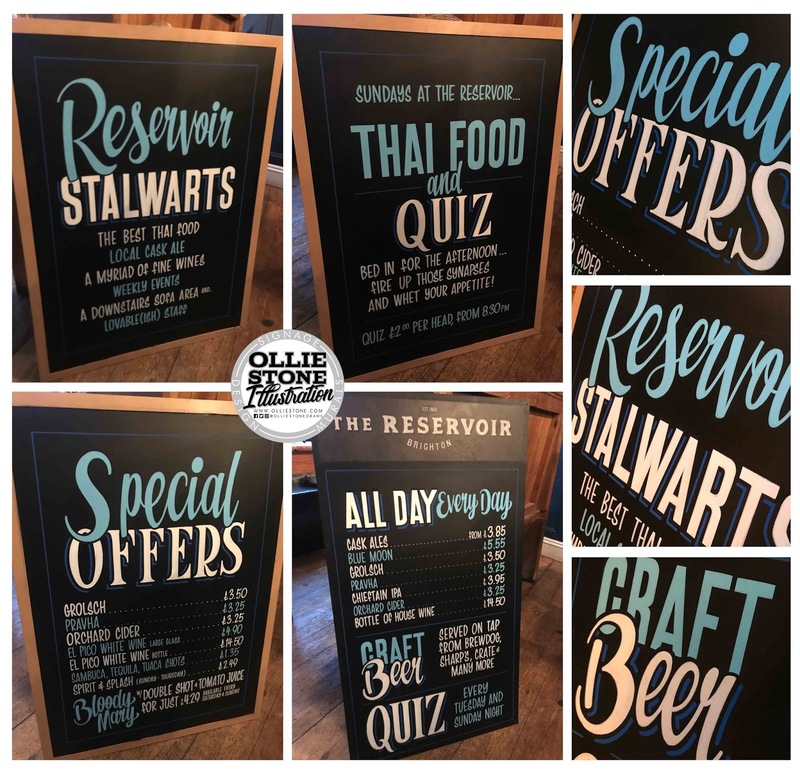 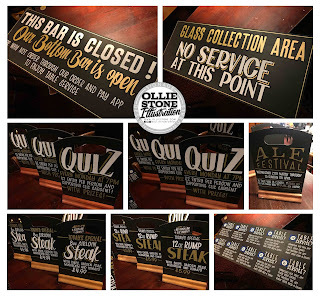 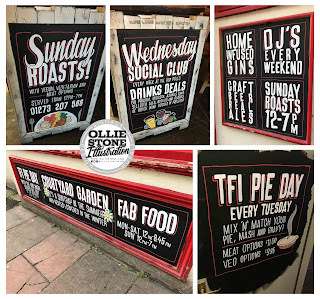 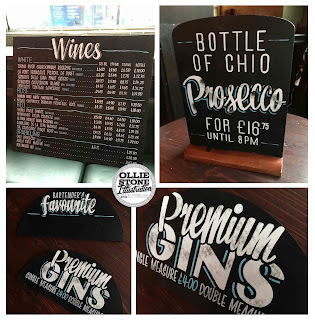 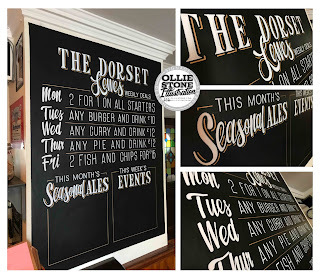 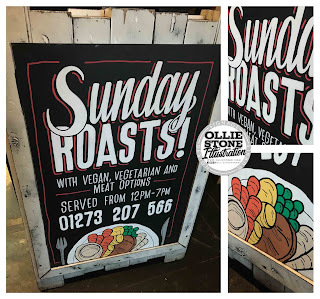 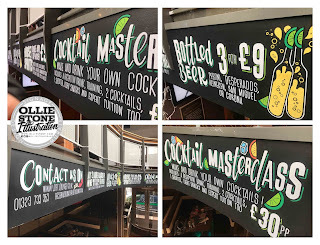 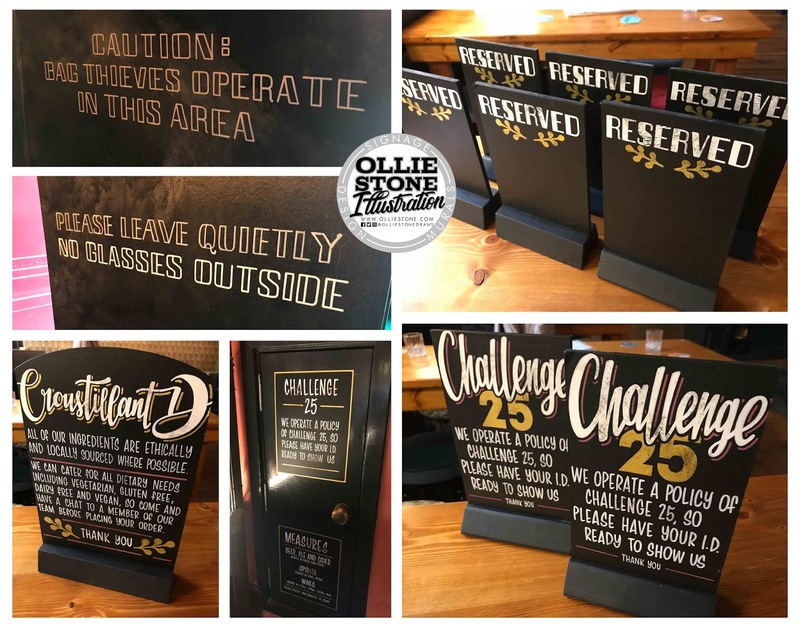 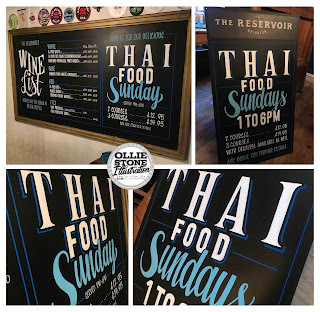 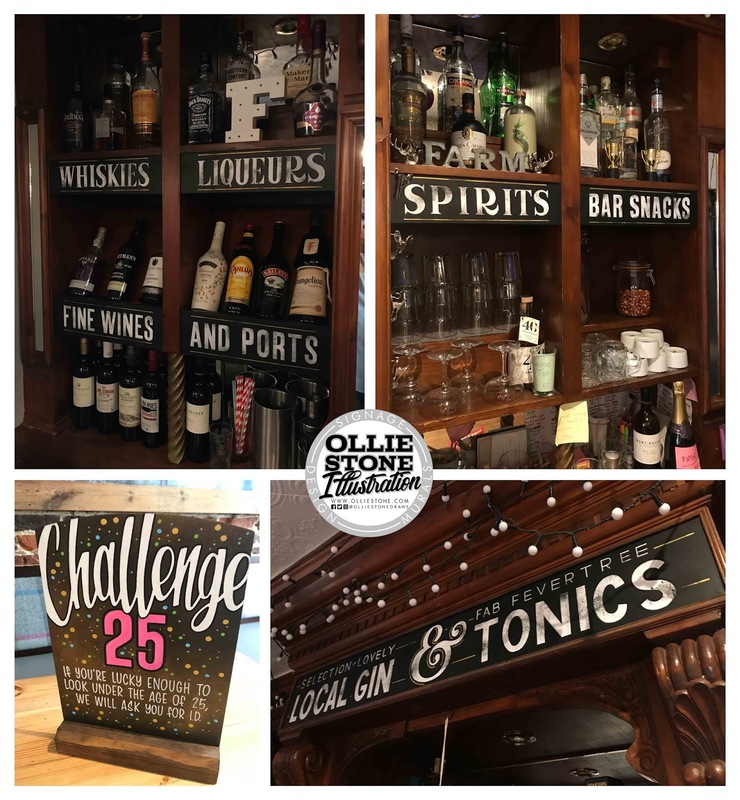 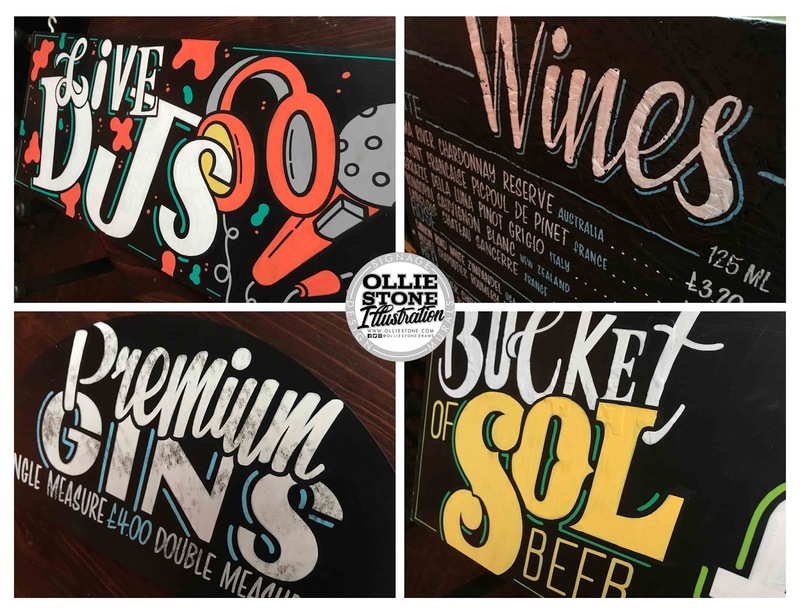 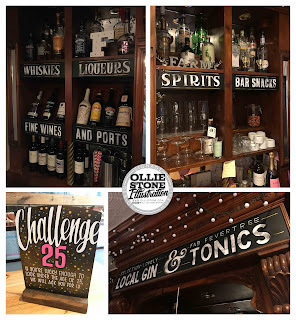 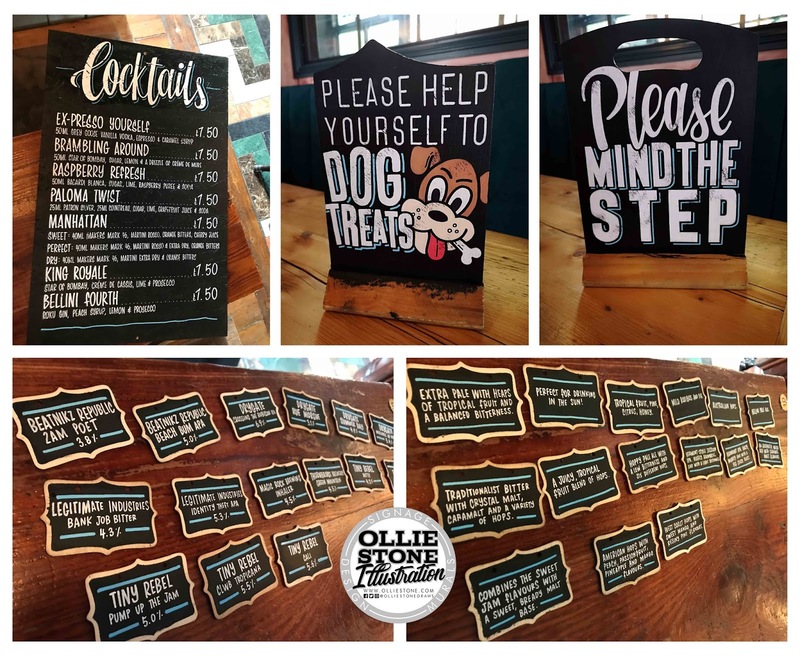 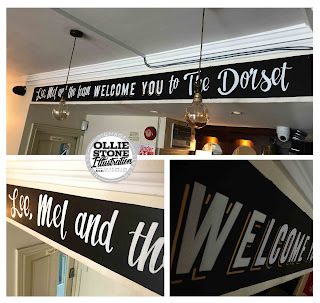 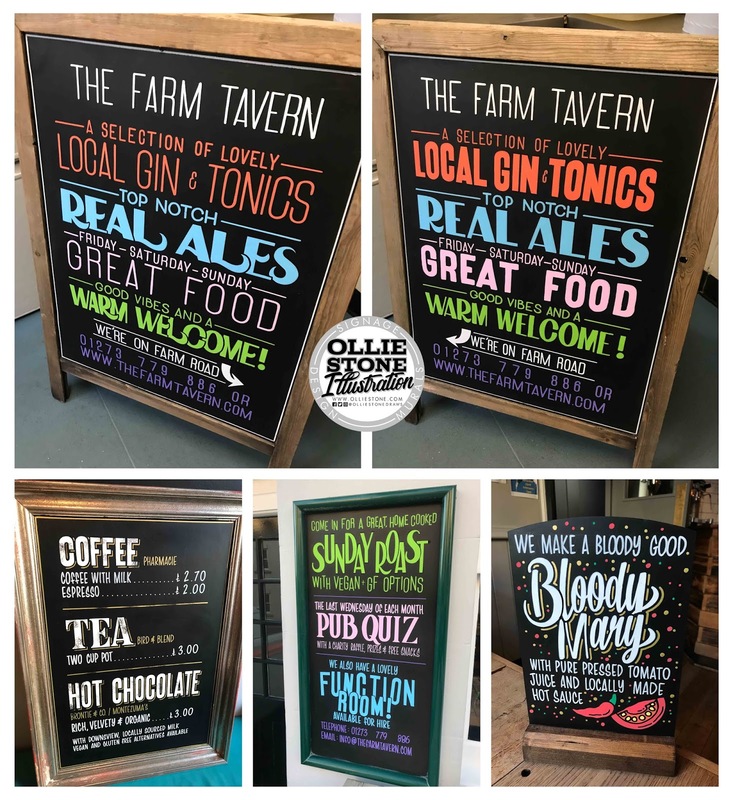 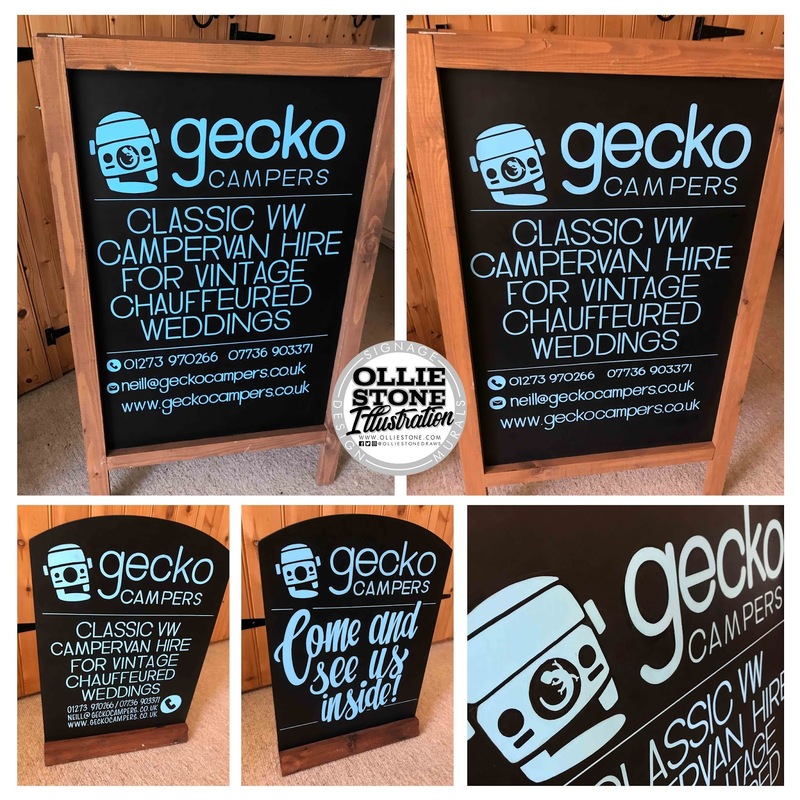 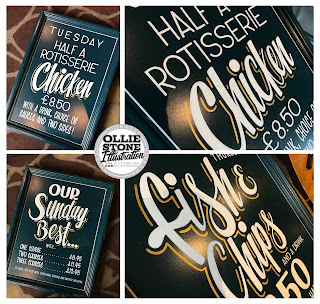 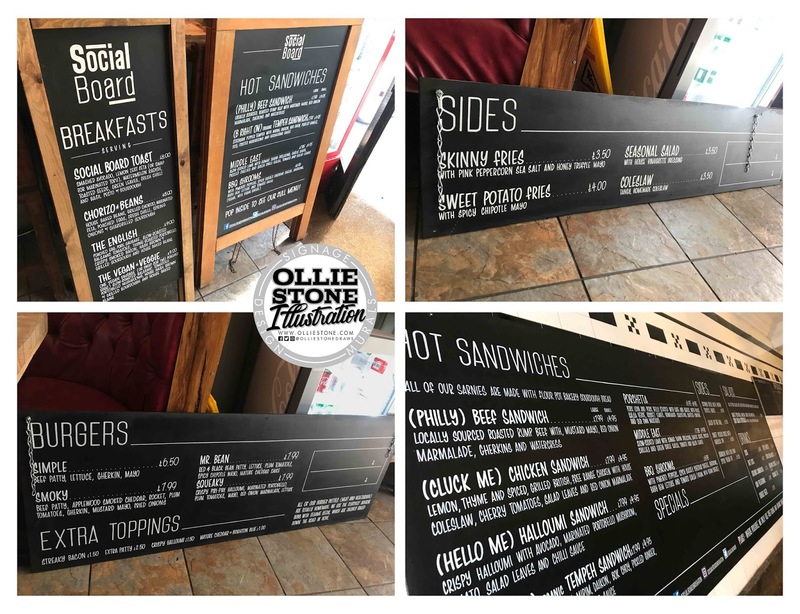 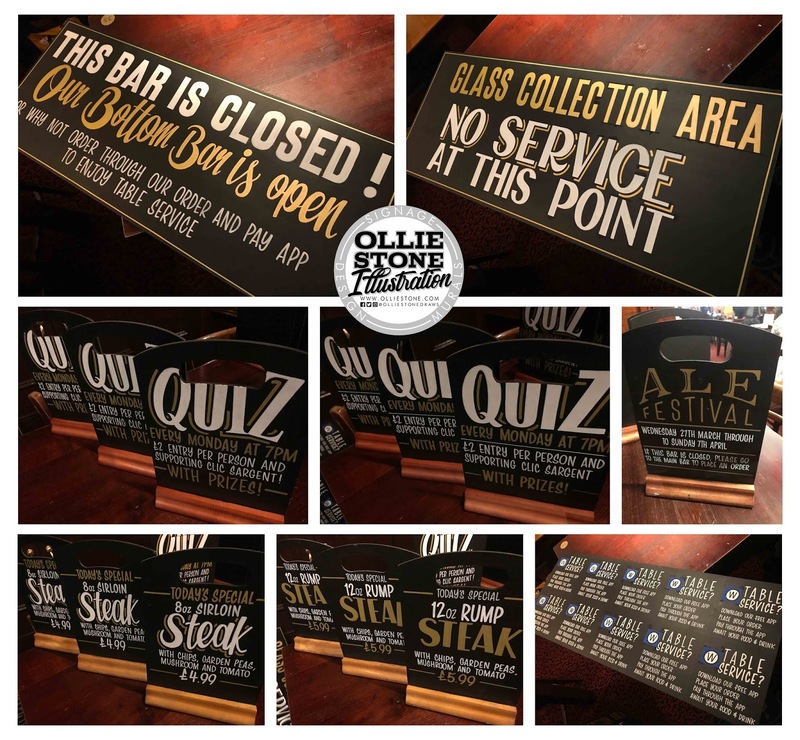 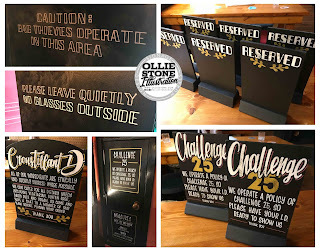 Chalkboard and blackboard artist covering Brighton, London and the South. 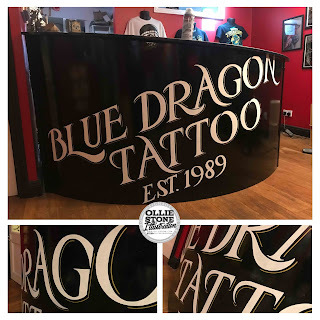 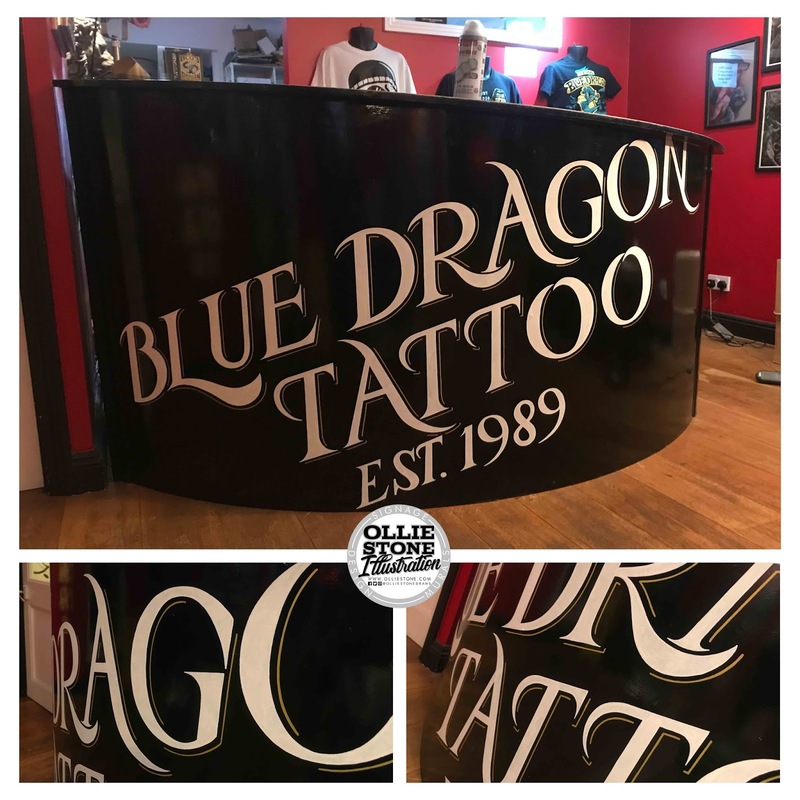 Hand-painted signage for Blue Dragon Tattoo, Brighton. 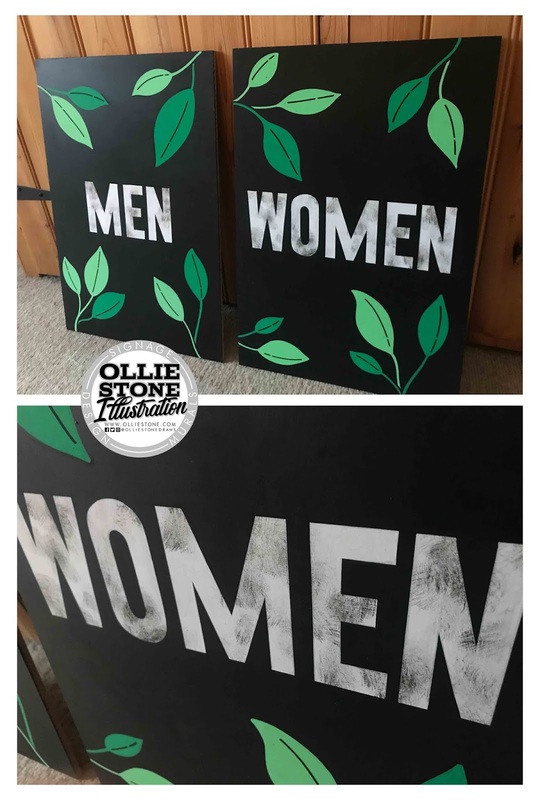 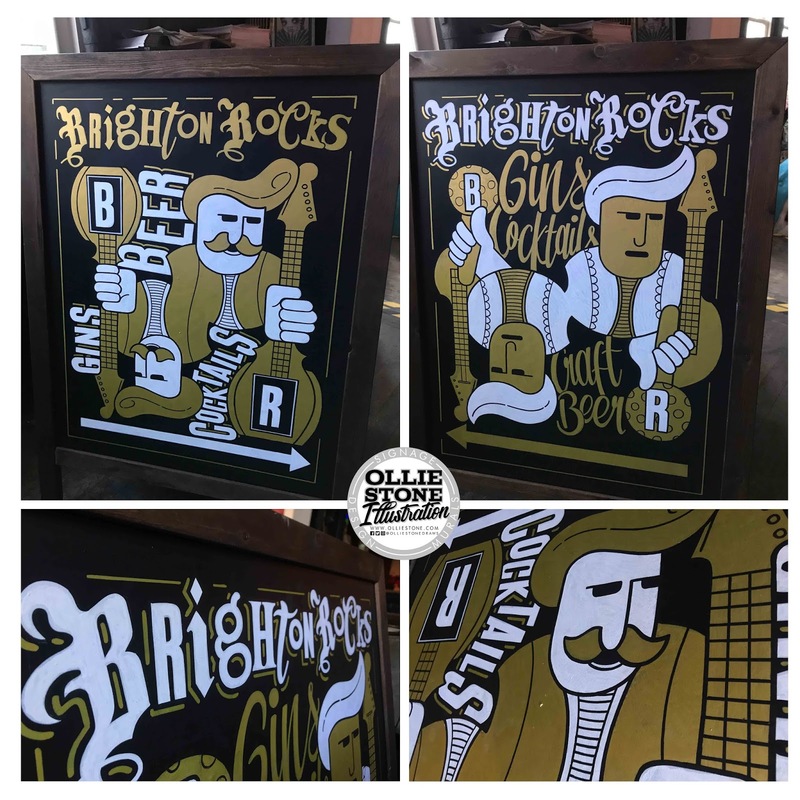 Hand-painted signage for Brighton Rocks, Brighton. 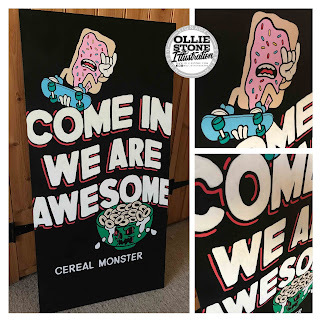 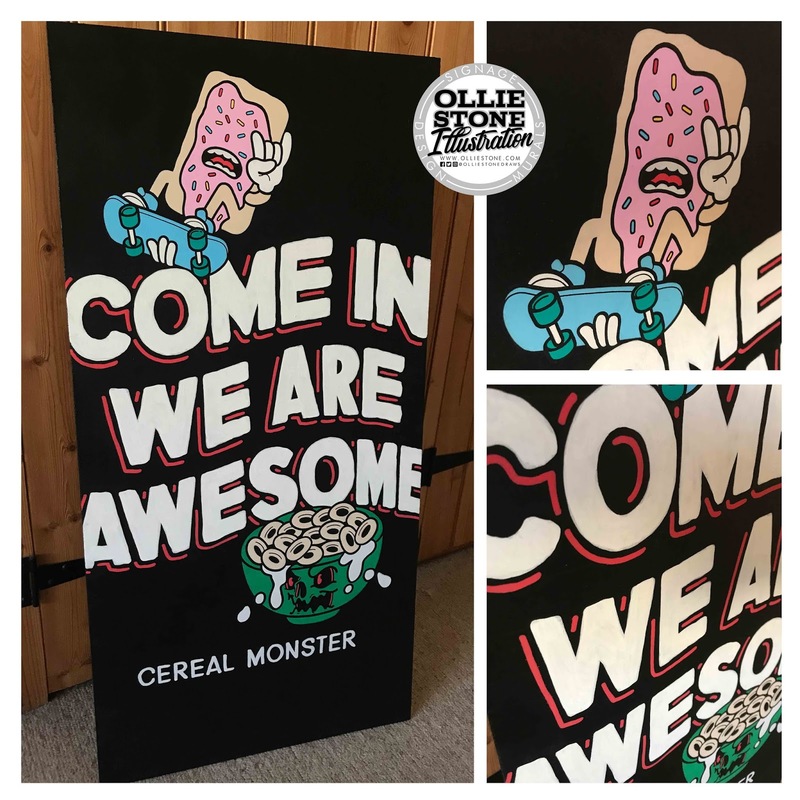 Hand-painted signage for Cereal Monster, Shoreham. 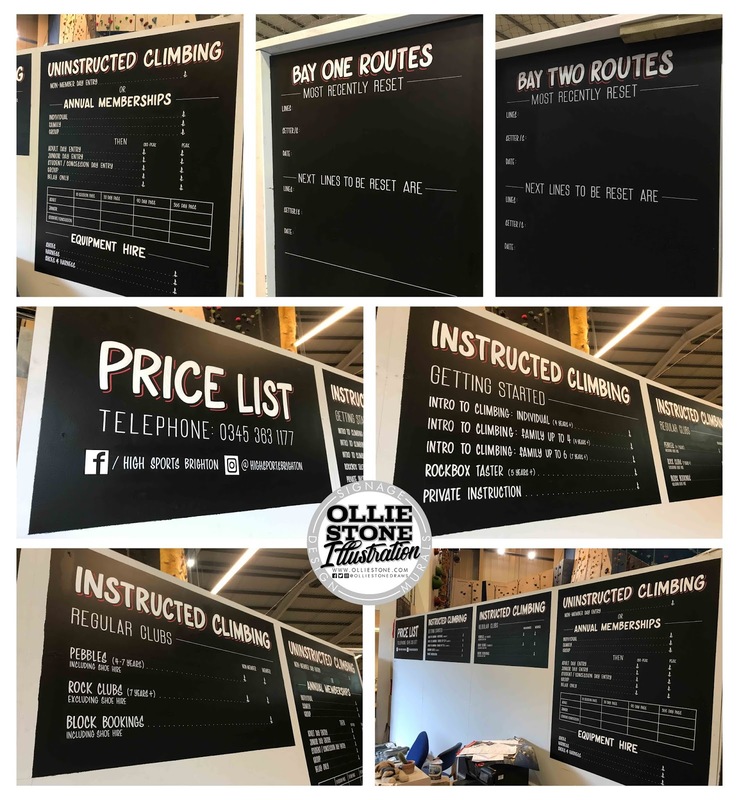 Hand-painted signage for High Sports Climbing, Brighton. 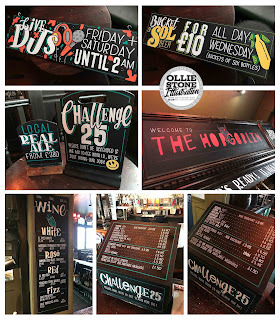 Hand-painted signage for The Hobgoblin, Brighton. 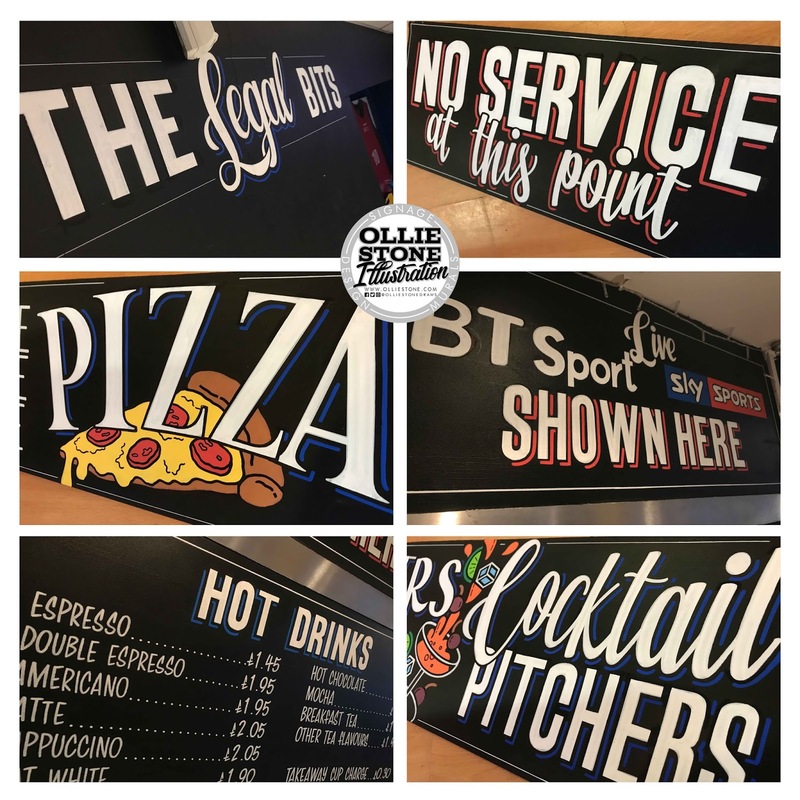 Hand-painted signage for The Hop Poles, Brighton. 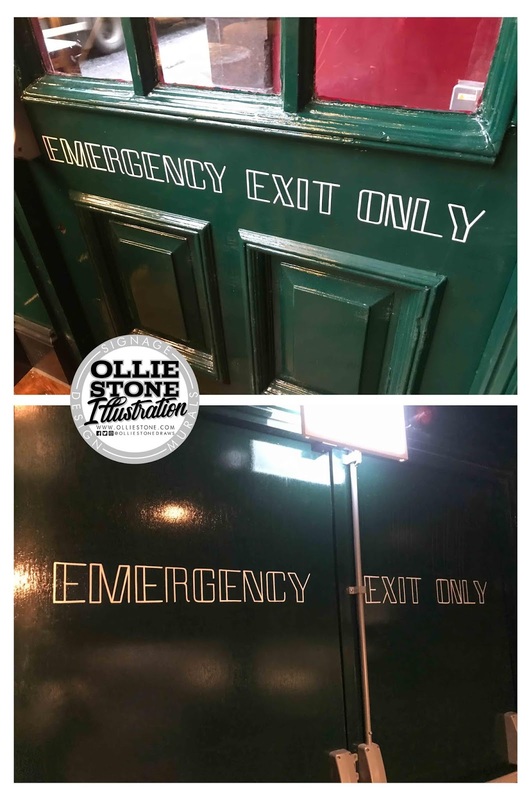 Hand-painted signage for One Kew Road, Richmond. 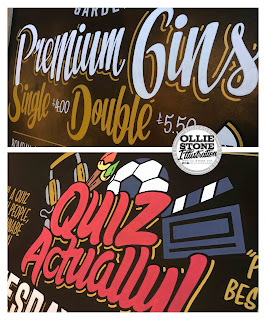 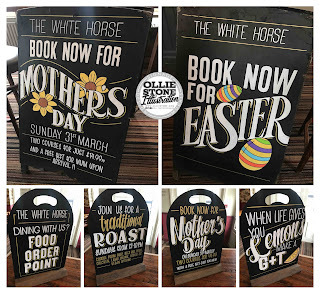 Hand-painted signage for Ye Olde Black Horse, Rottingdean. Hand-painted signage for SocialBoard, Brighton. 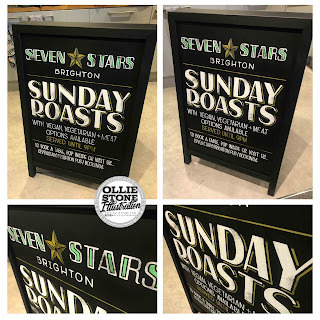 Hand-painted signage for The Seven Stars, Brighton. 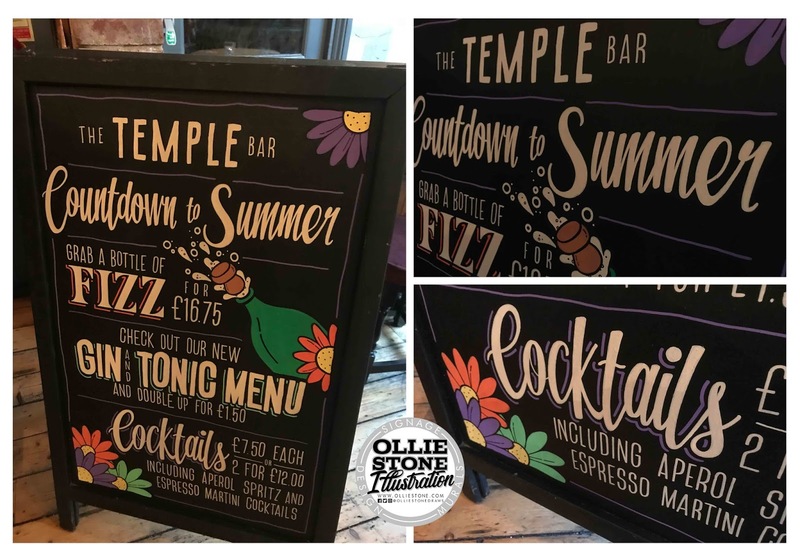 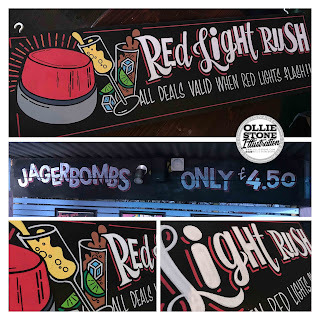 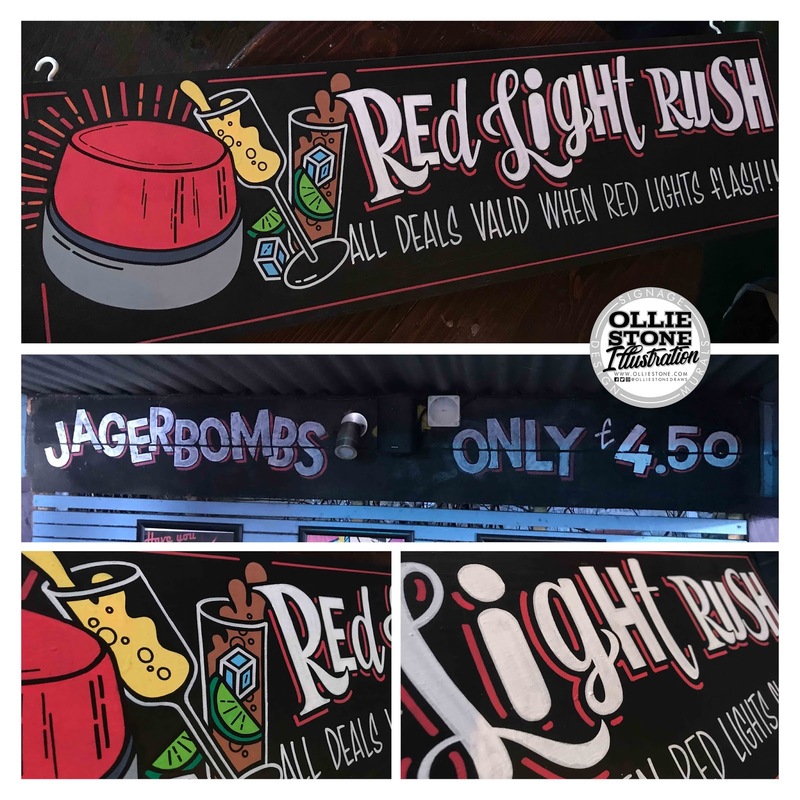 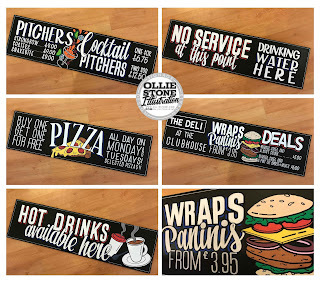 Hand-painted signage for The Temple Bar, Brighton. 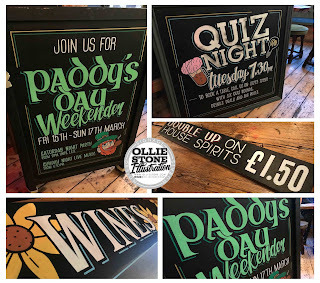 Hand-painted signage for The William the Fourth, Brighton. 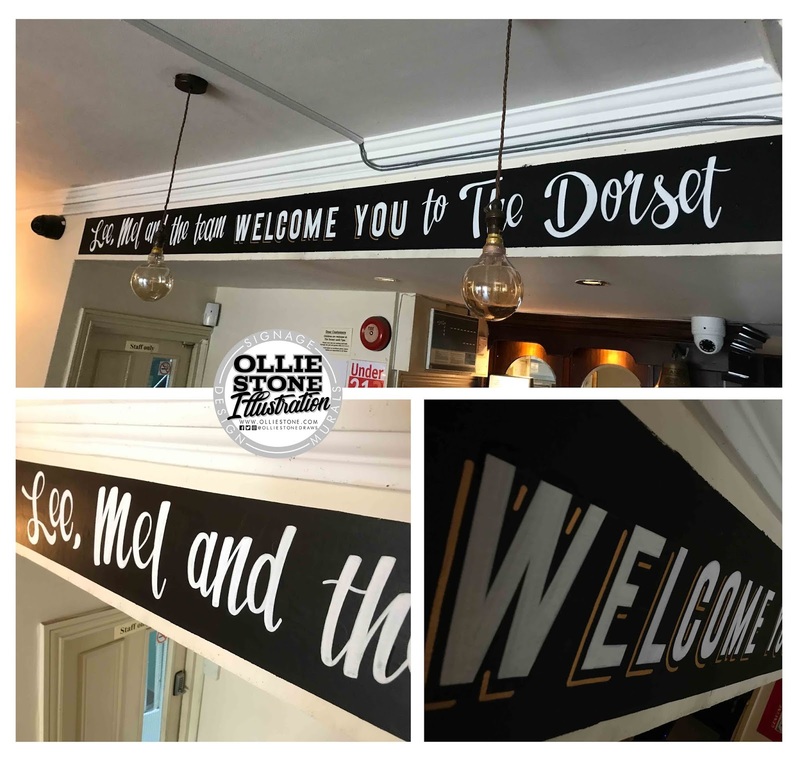 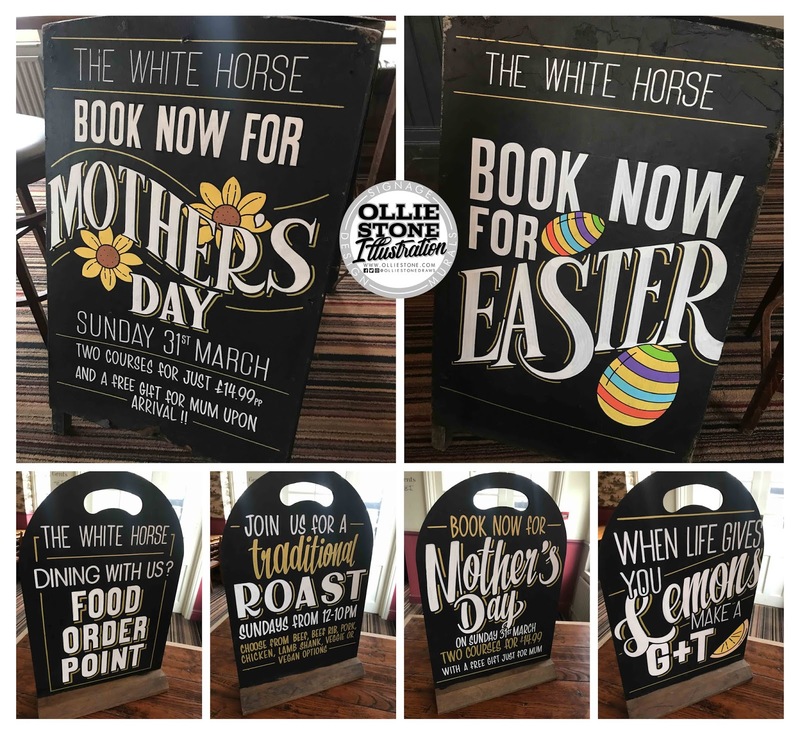 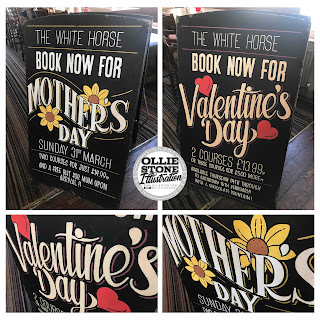 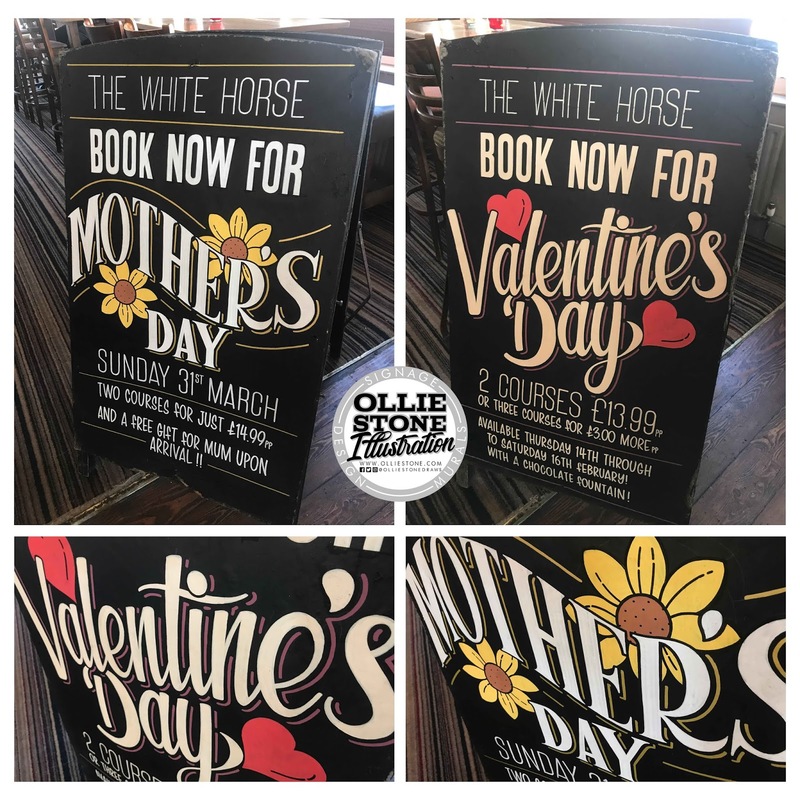 Hand-painted signage for The White Horse, Rottingdean. 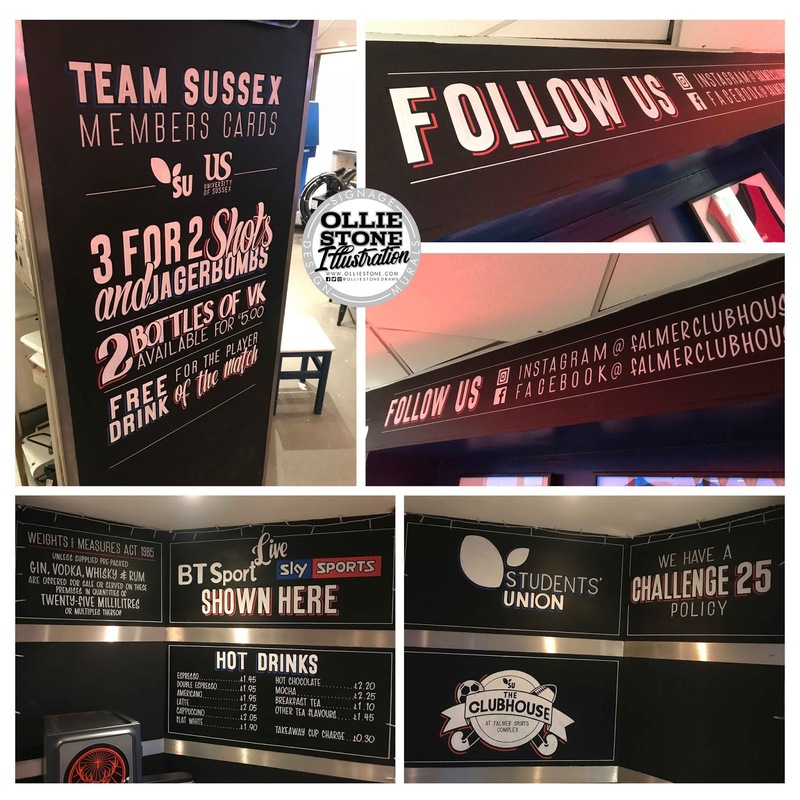 Signage for The Clubhouse at Sussex University. 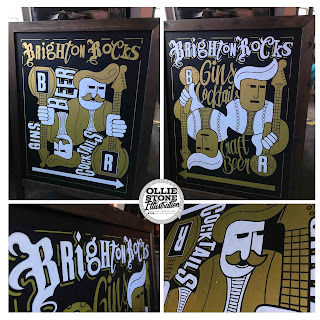 Signage for The Eagle, Brighton. 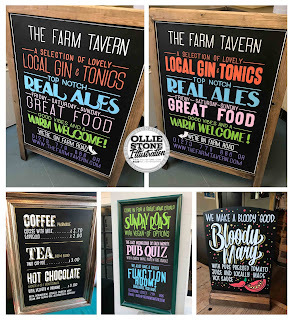 Signage for The Farm Tavern, Hove. 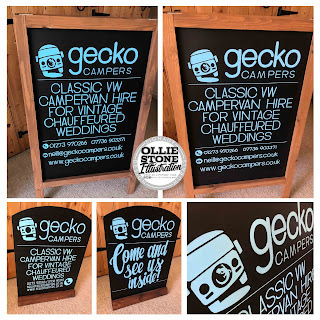 Signage for Gecko Campers, Newhaven. 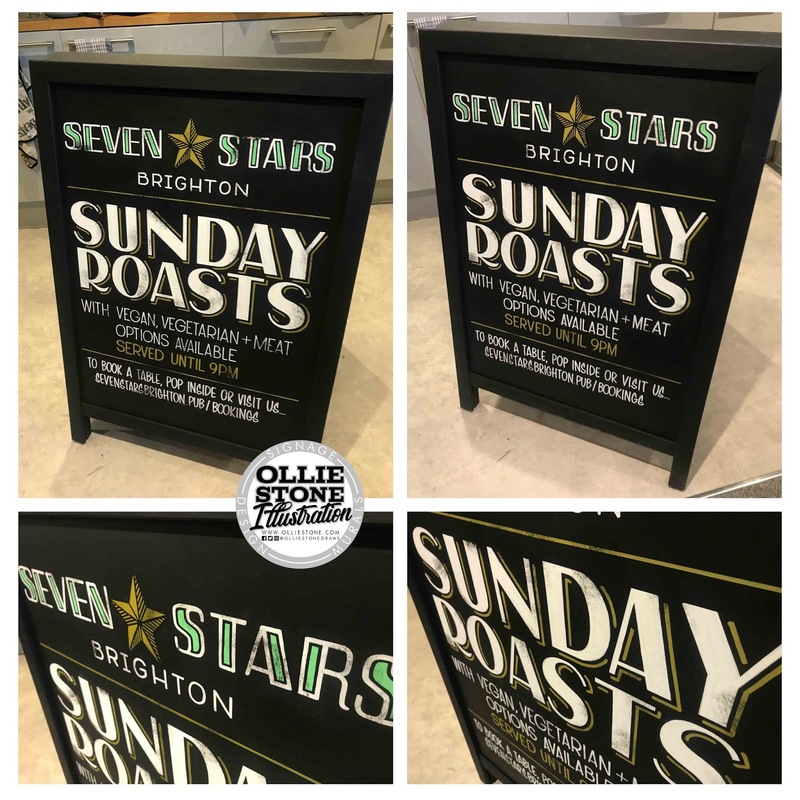 Signage for Hove Park Deli, Hove. 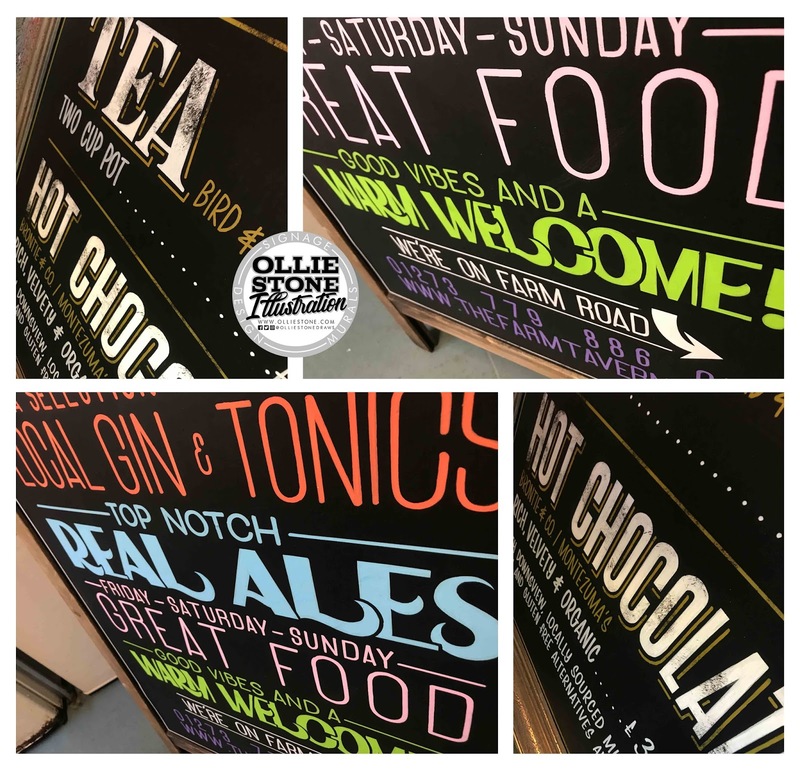 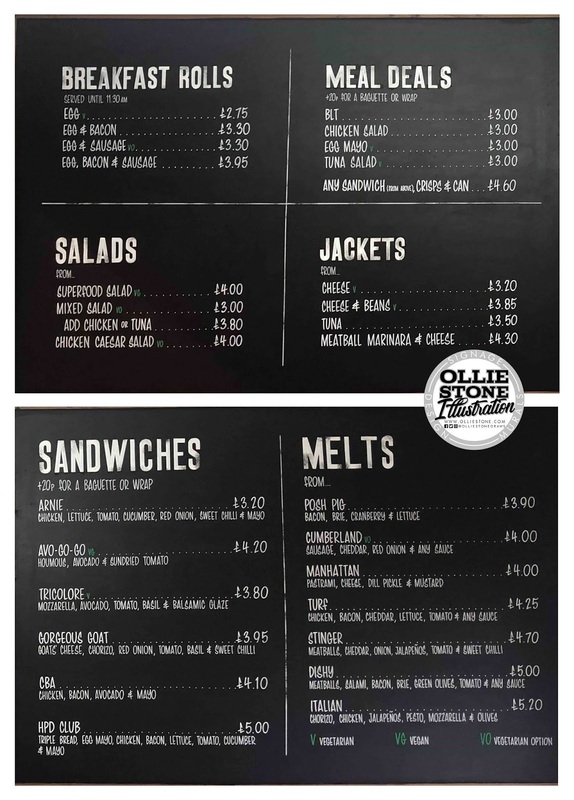 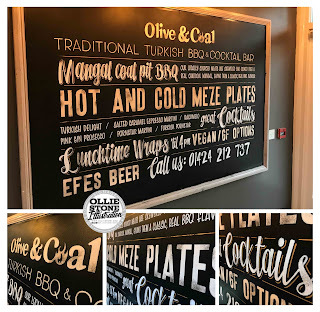 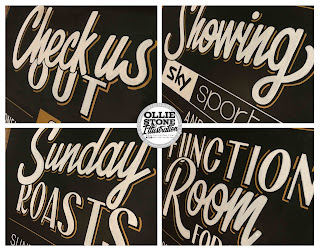 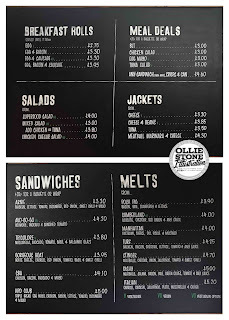 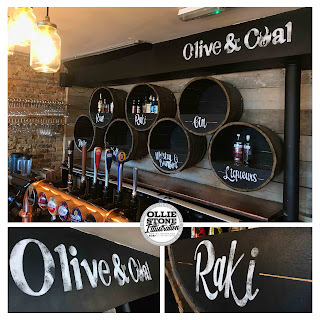 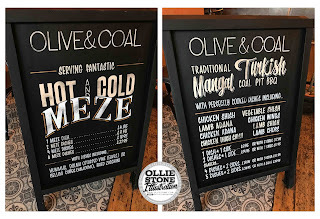 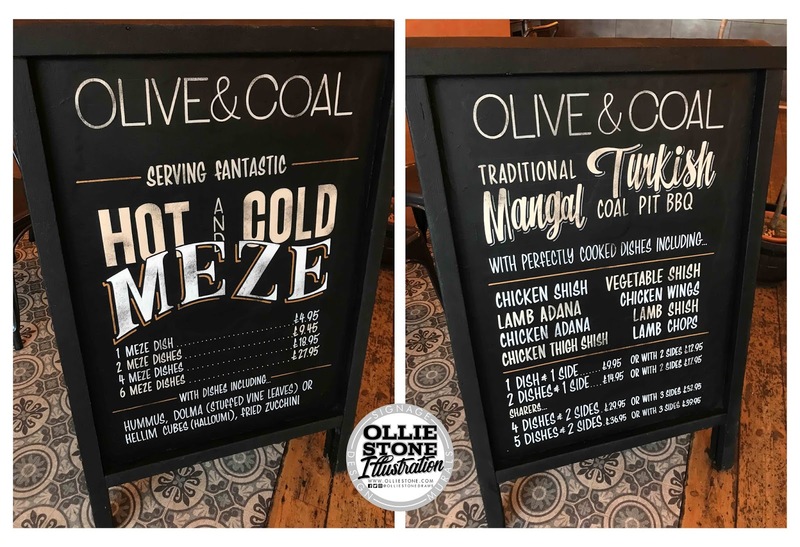 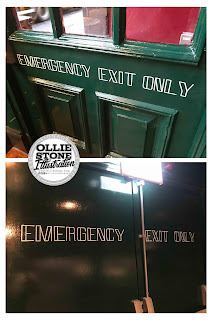 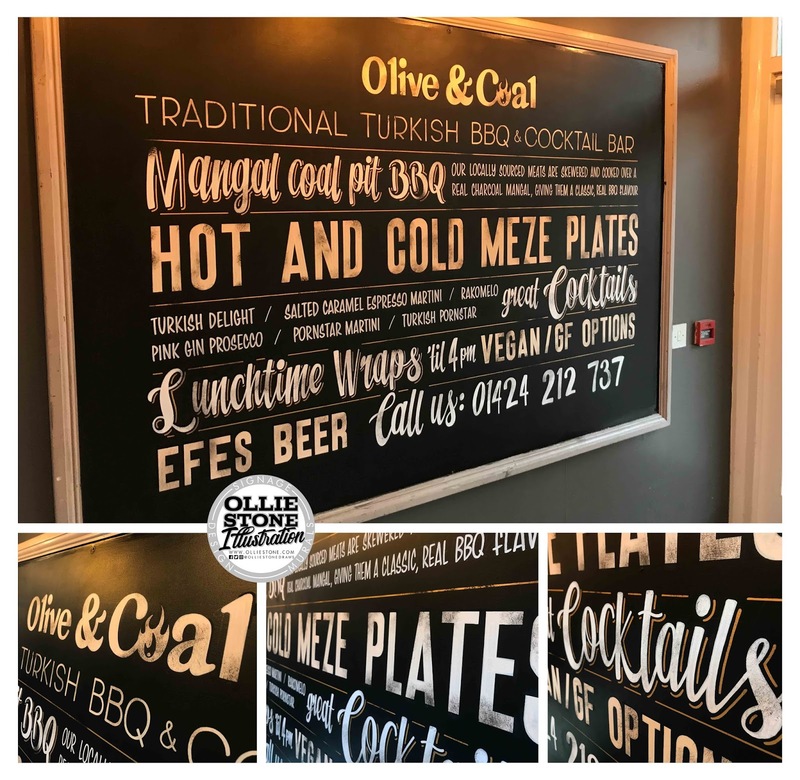 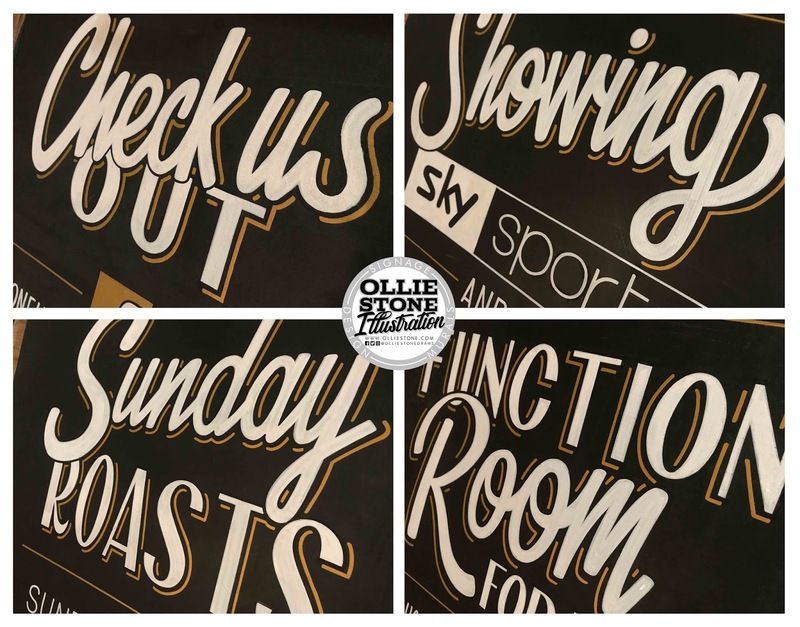 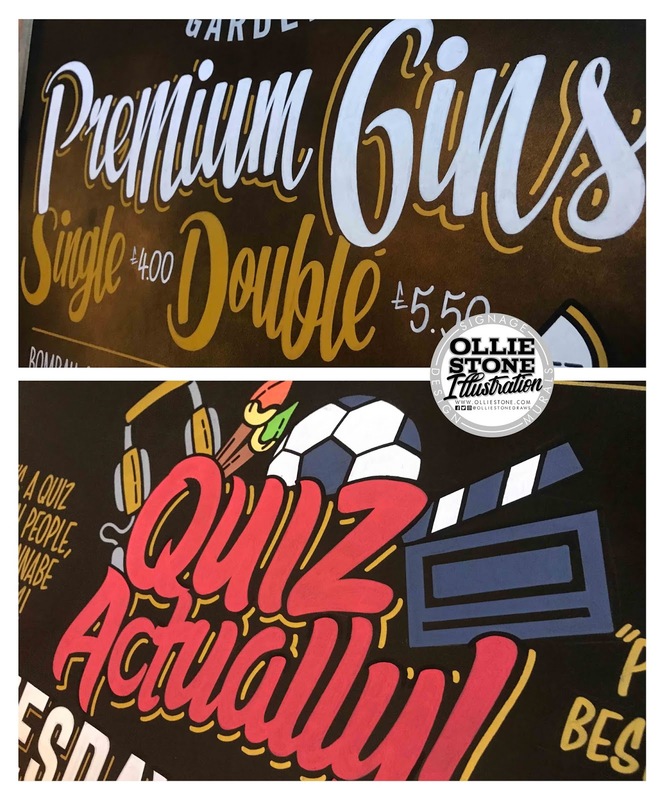 Signage for Olive & Coal, Bexhill. 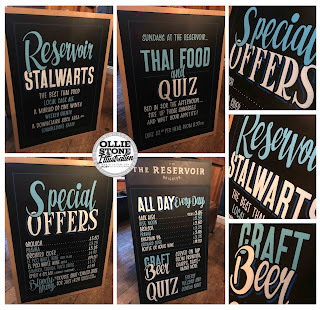 Signage for The Reservoir, Brighton.